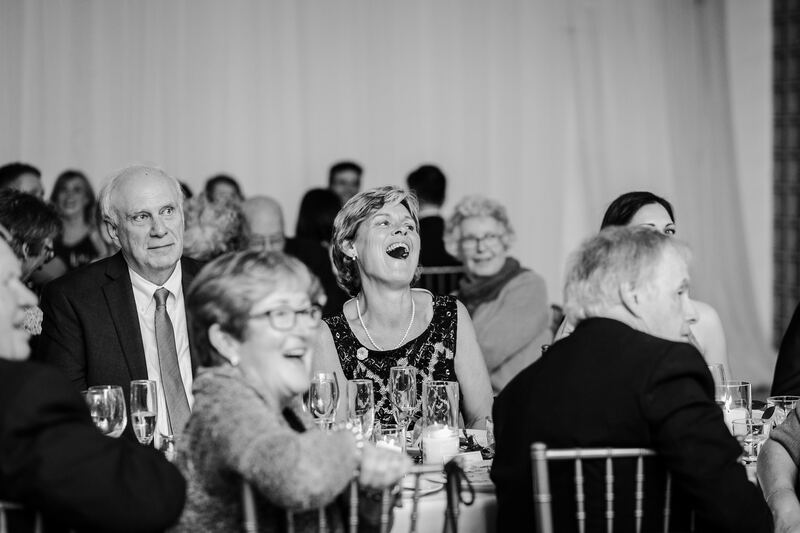 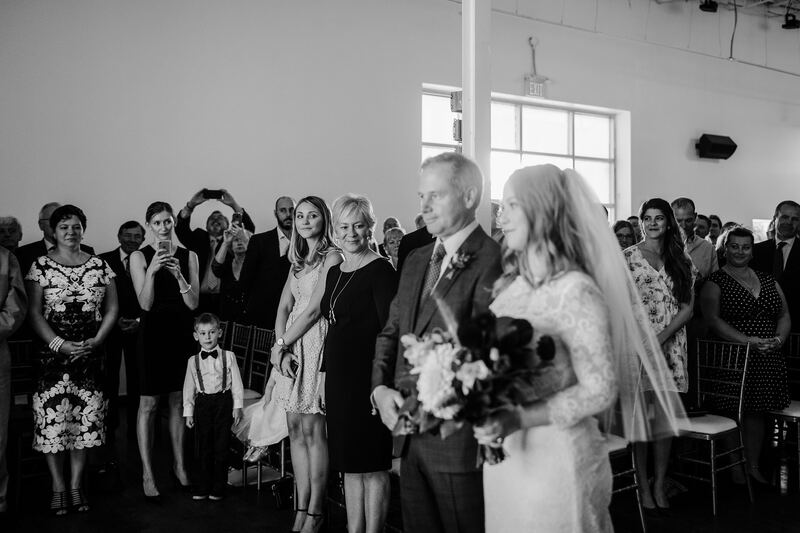 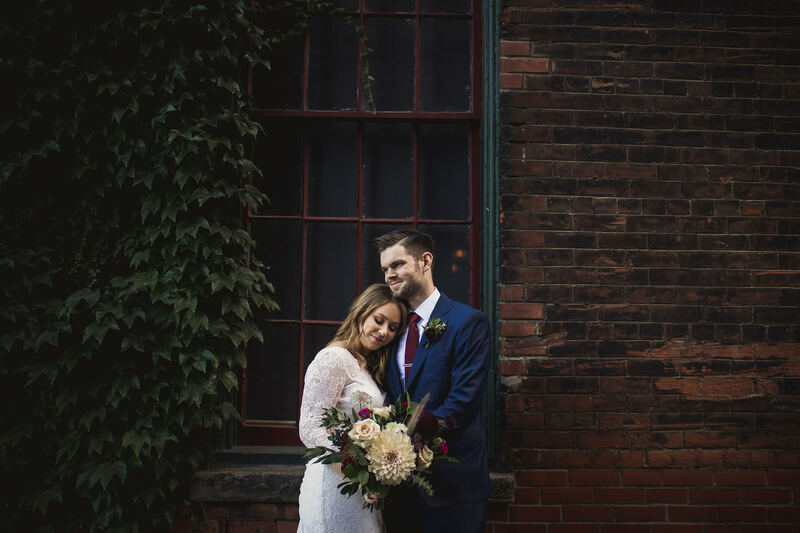 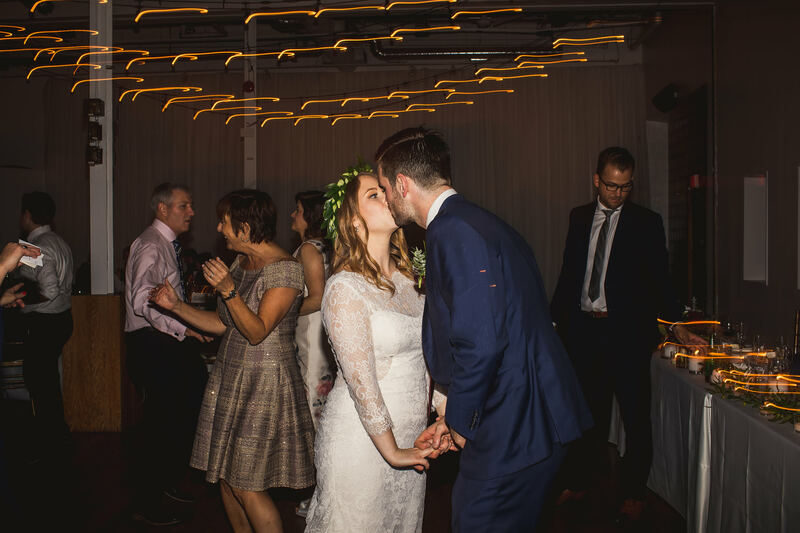 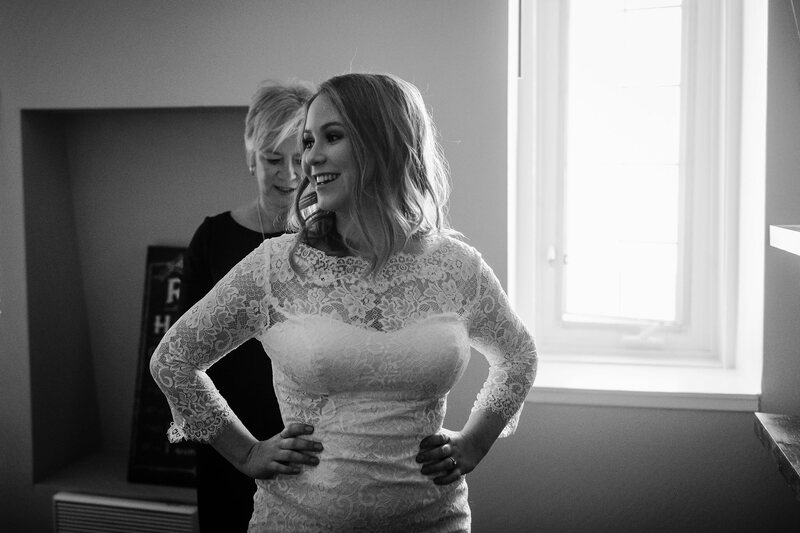 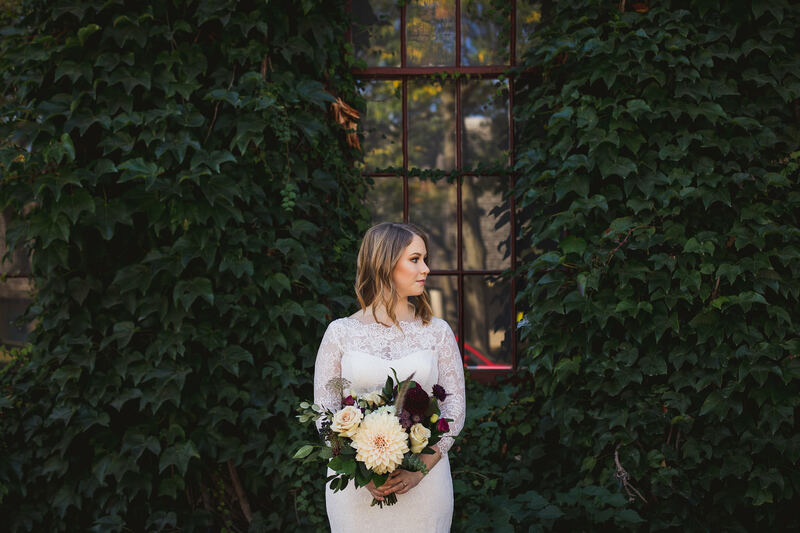 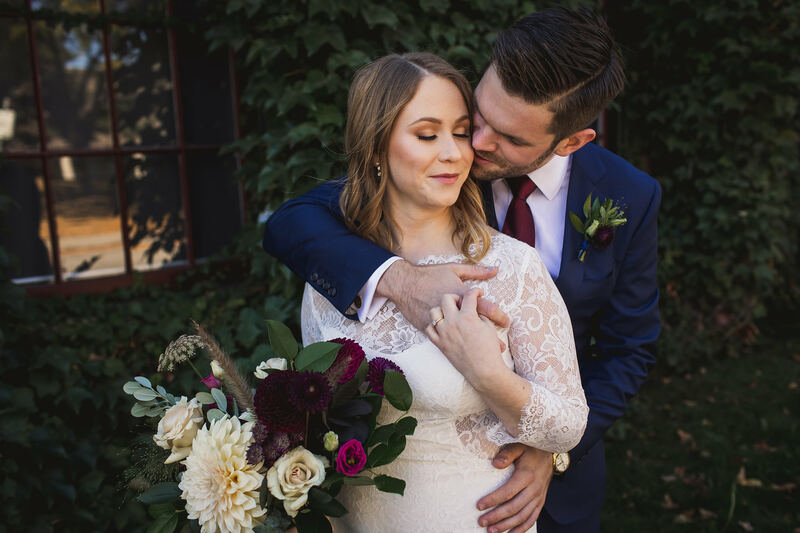 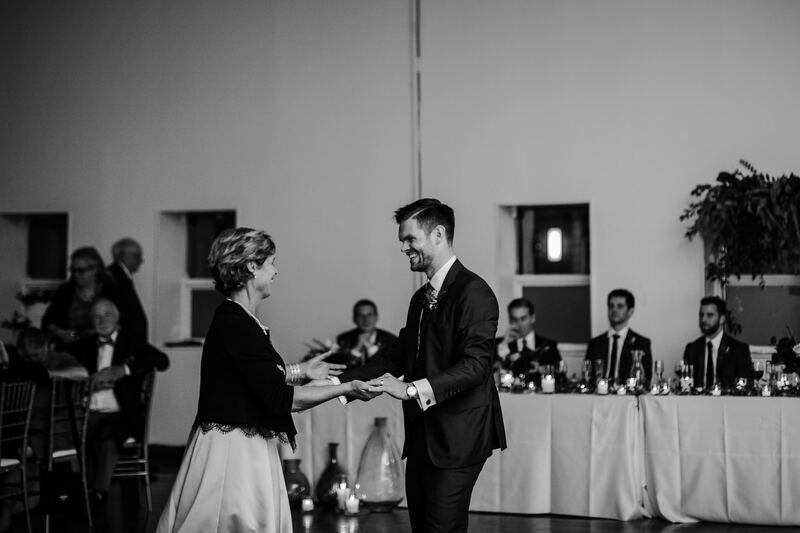 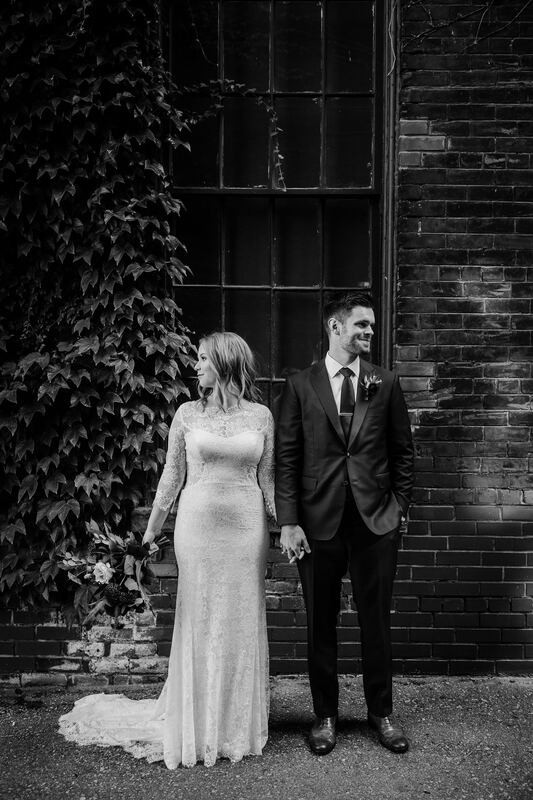 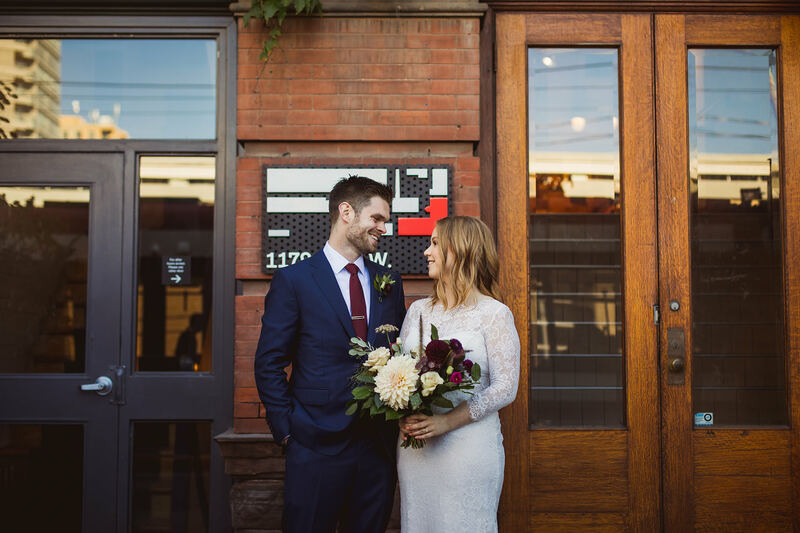 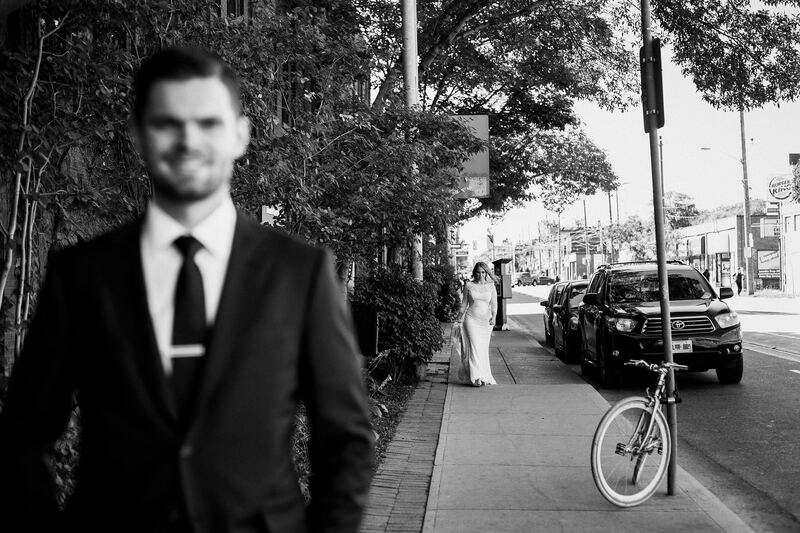 Erika + Carl’s 99 Sudbury wedding was special for so many reasons. 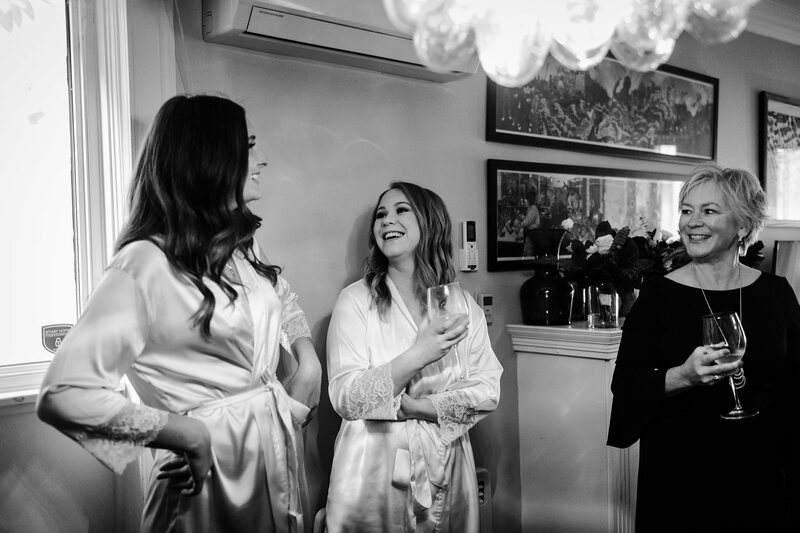 First and foremost, they surrounded themselves with amazing friends and family who were ridiculously supportive and so positive all day. 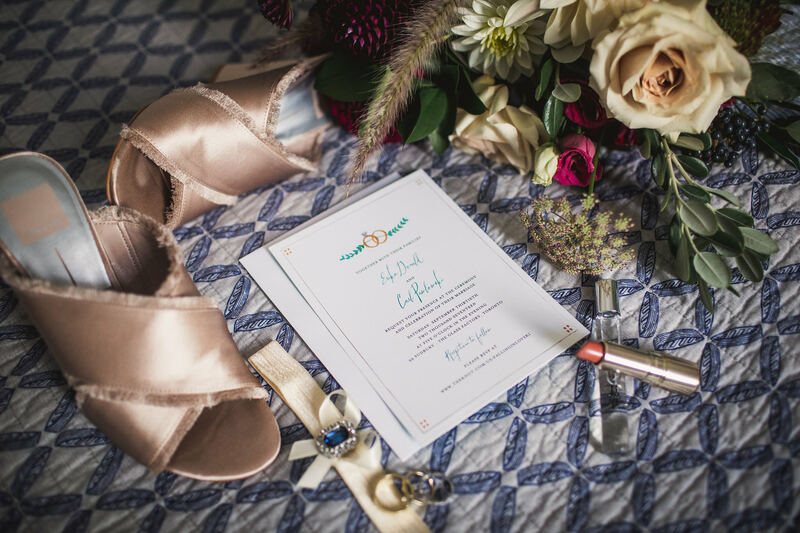 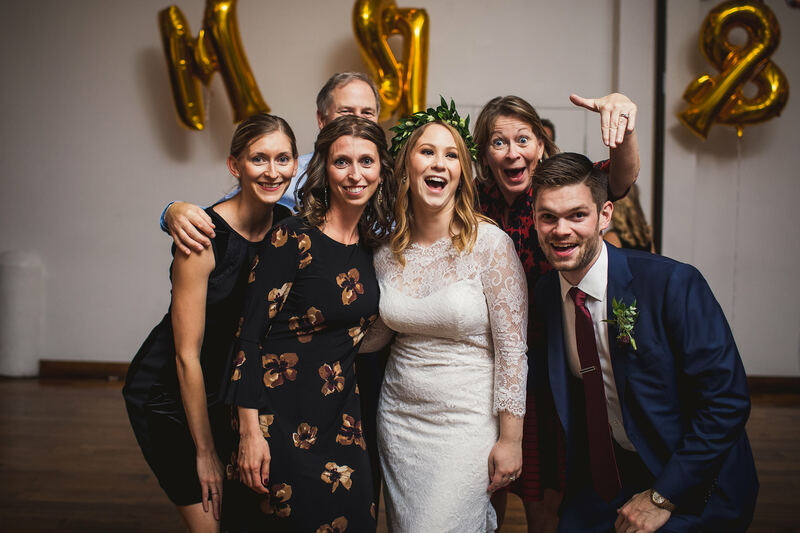 Second, they had an amazing team of vendors who were there to make the day flawless. 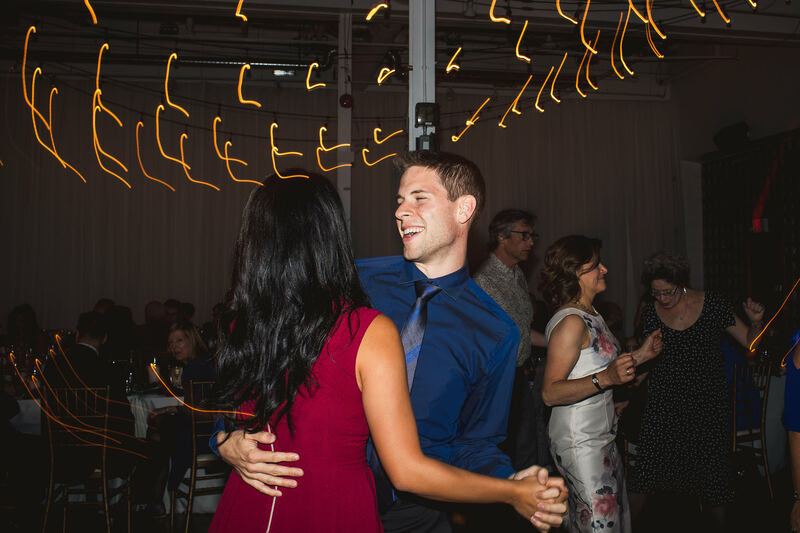 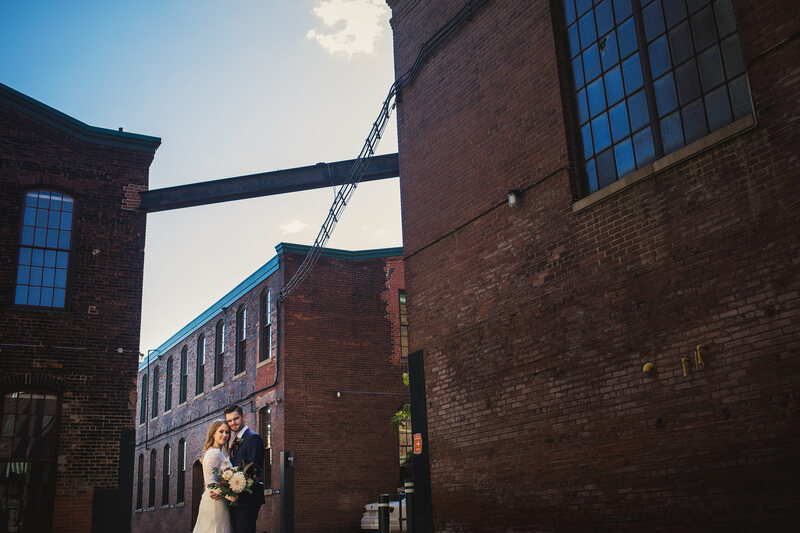 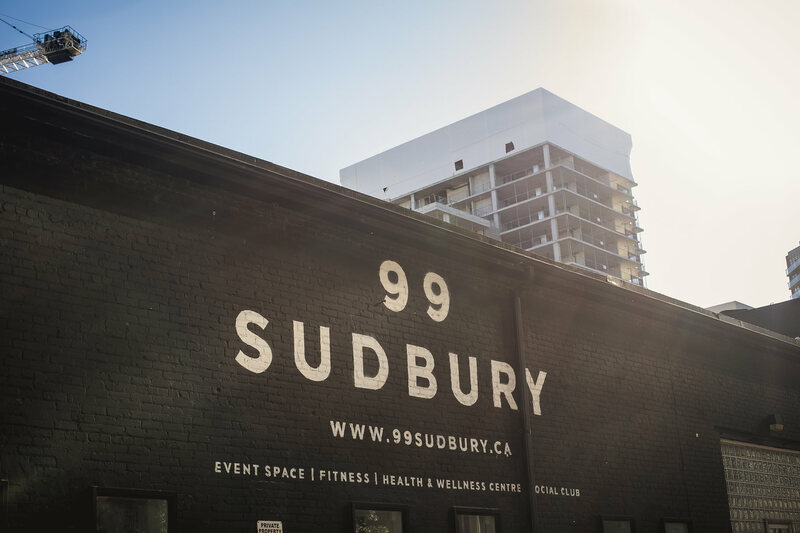 Having a 99 Sudbury wedding (or a Glass Factory wedding if you want to be specific) is perfect for the couple who likes an industrial-chique esthetic. 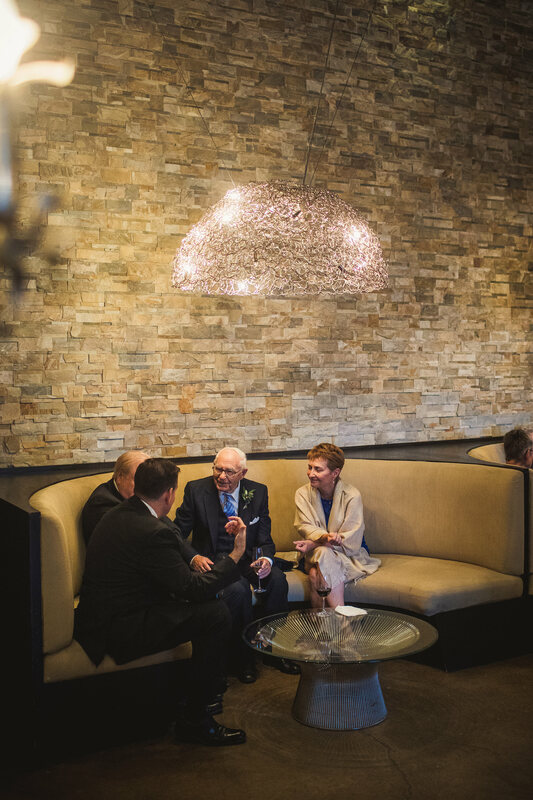 With it being a larger space with lovely lighting, you can really use your decor to make it pop to your liking. 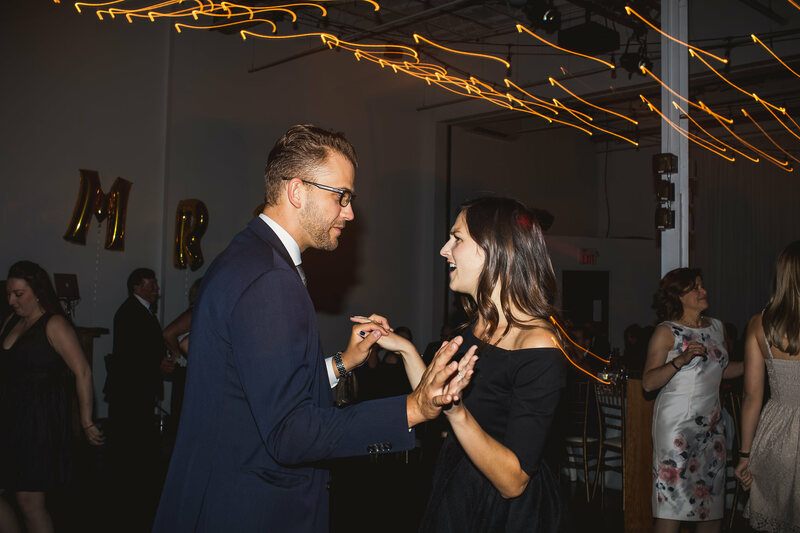 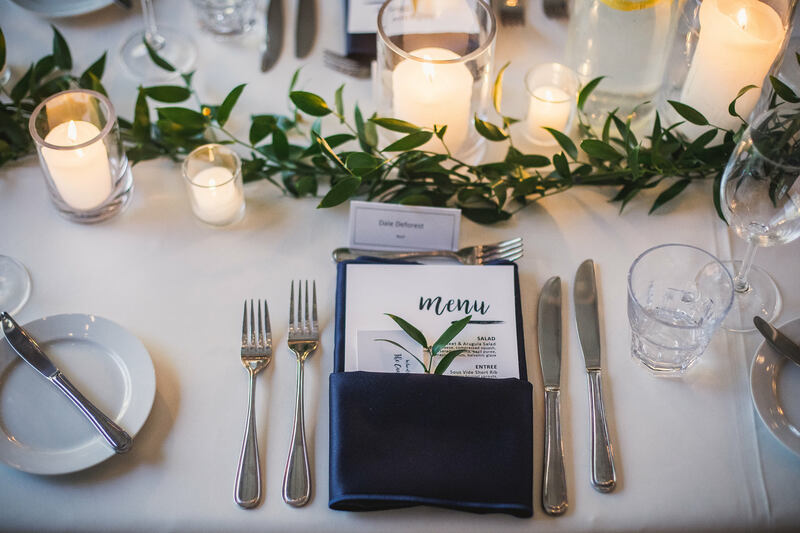 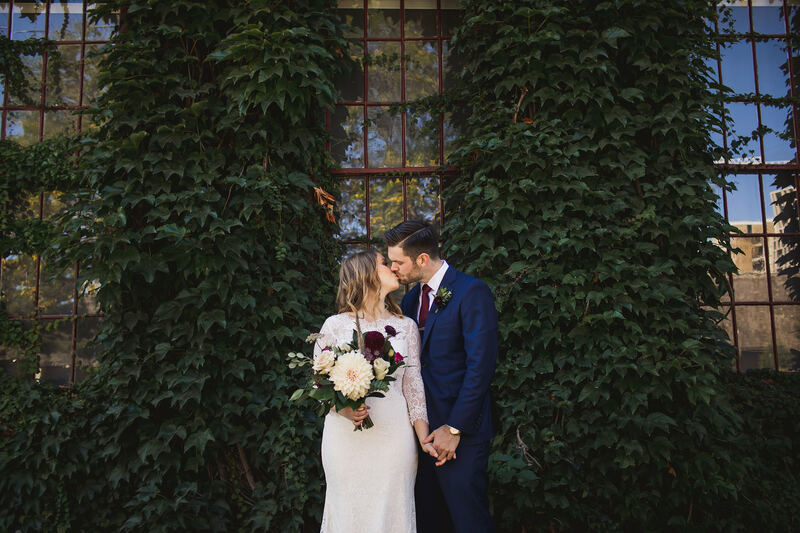 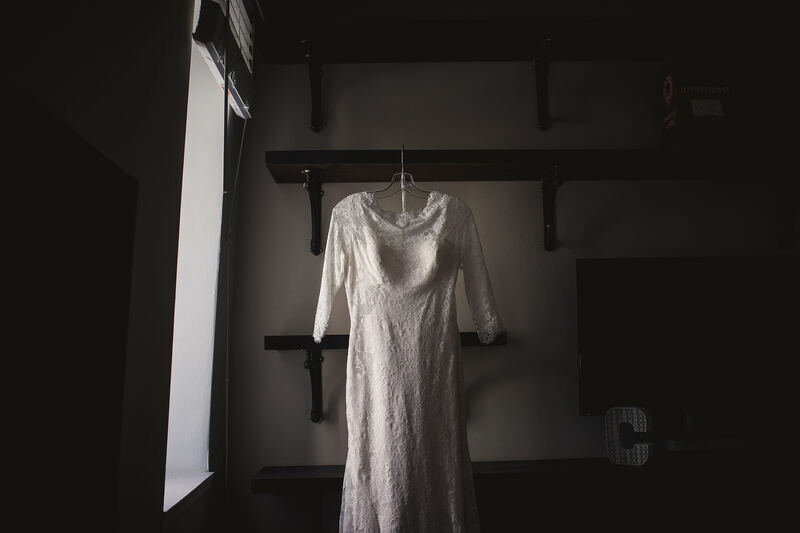 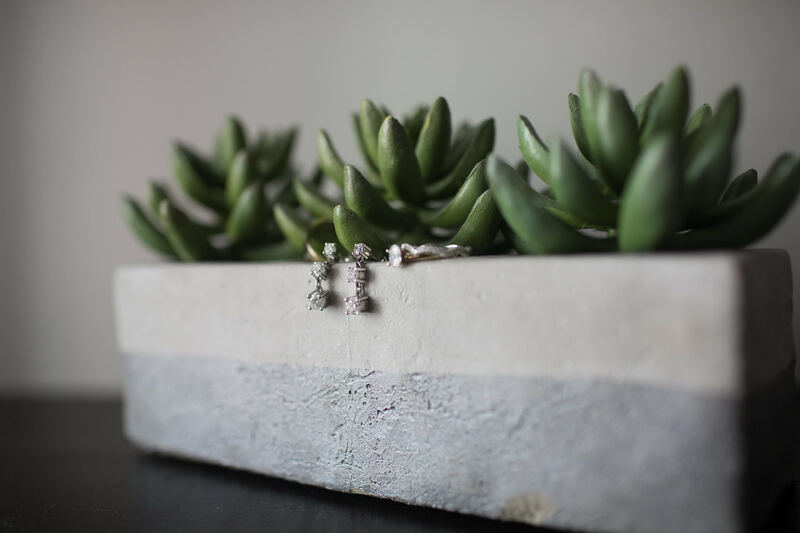 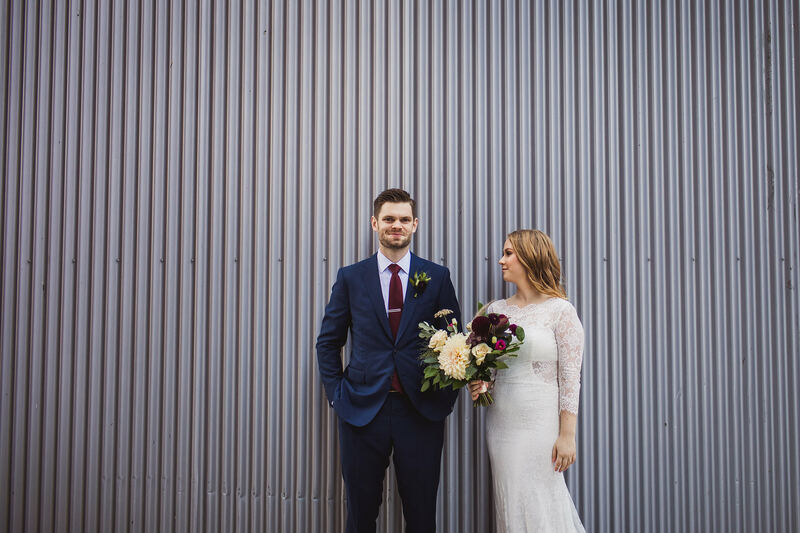 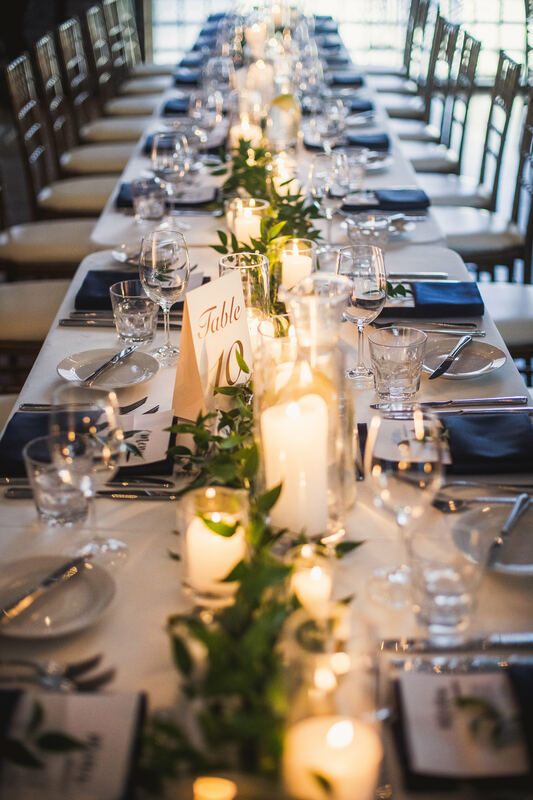 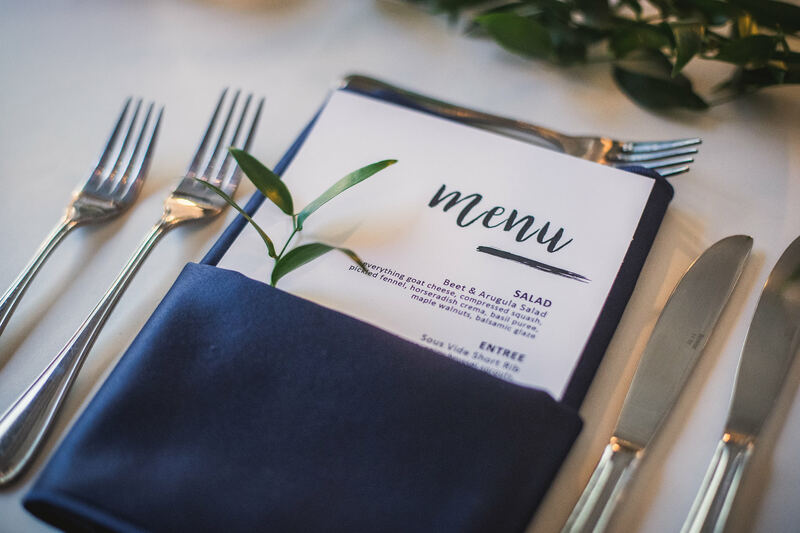 Erika and Carl opted for minimalist style and decor and I think that it was perfect. 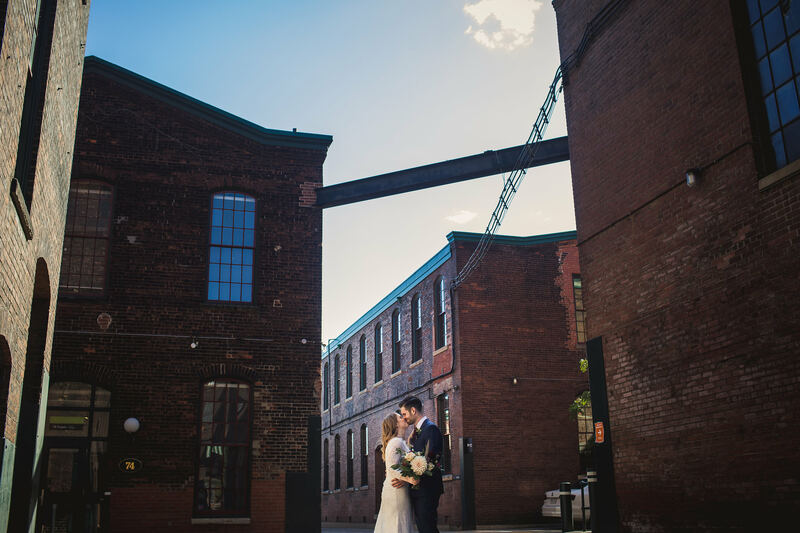 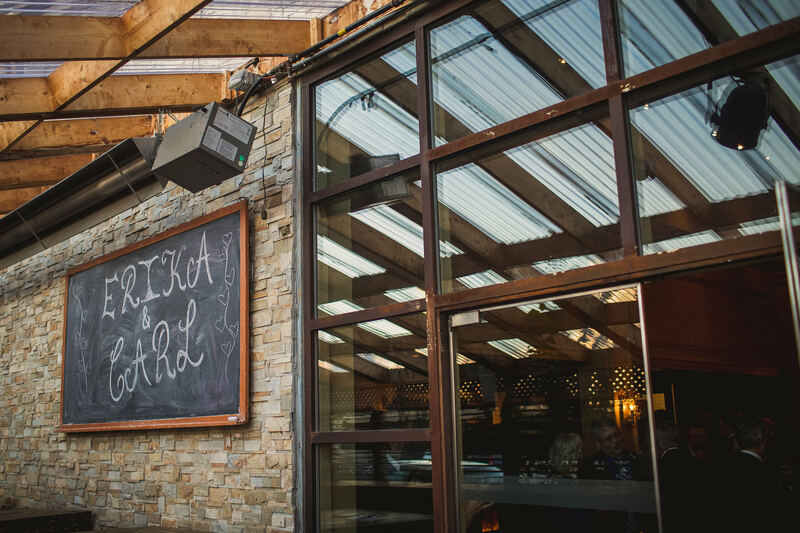 One of the best parts about planning a 99 Sudbury wedding is that you get access to their sweet covered patio! 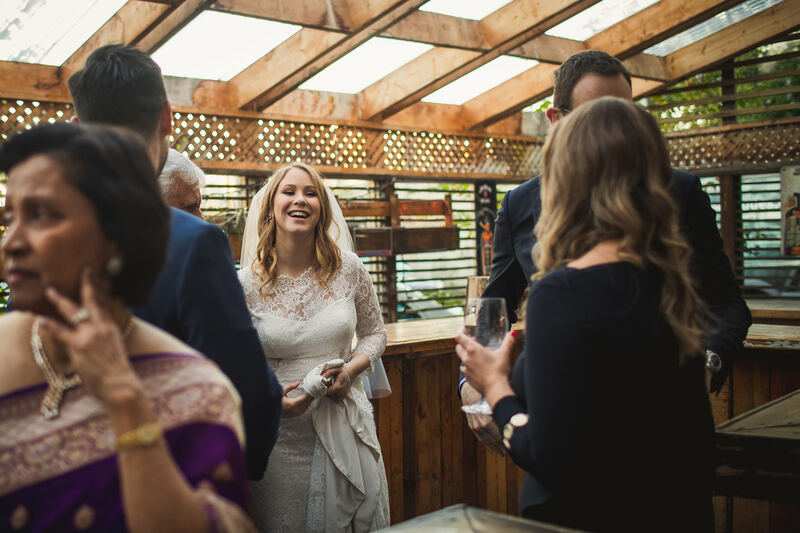 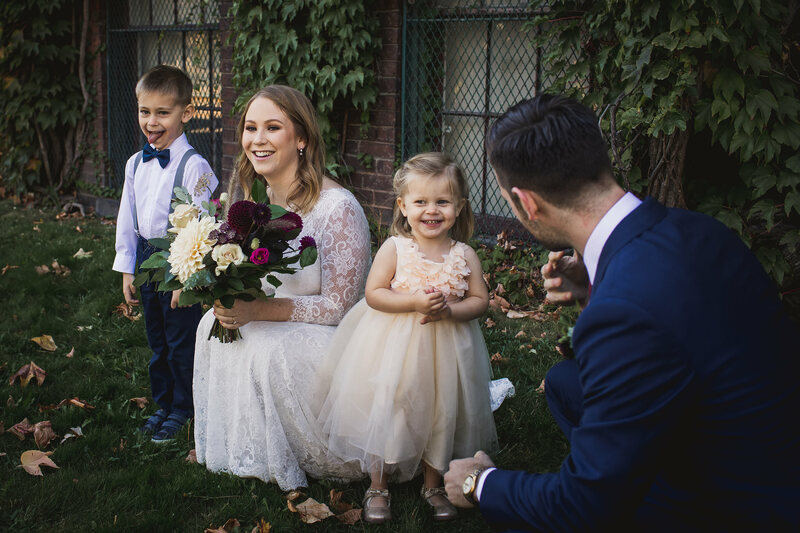 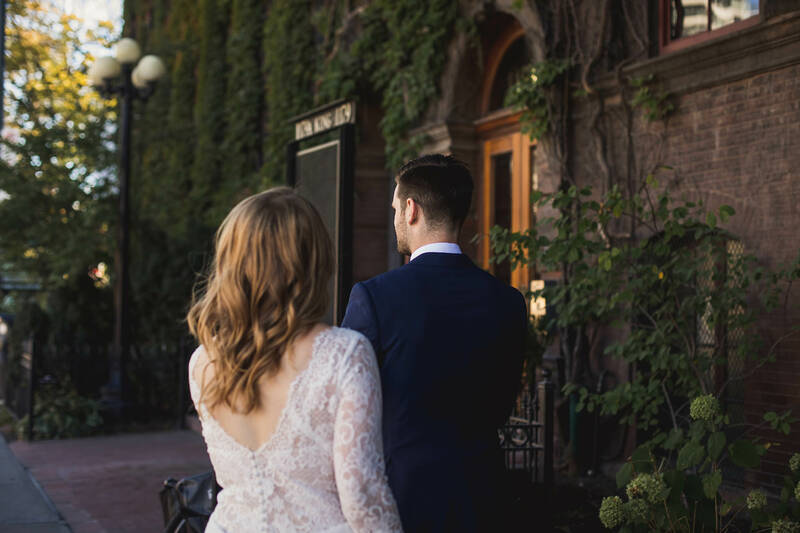 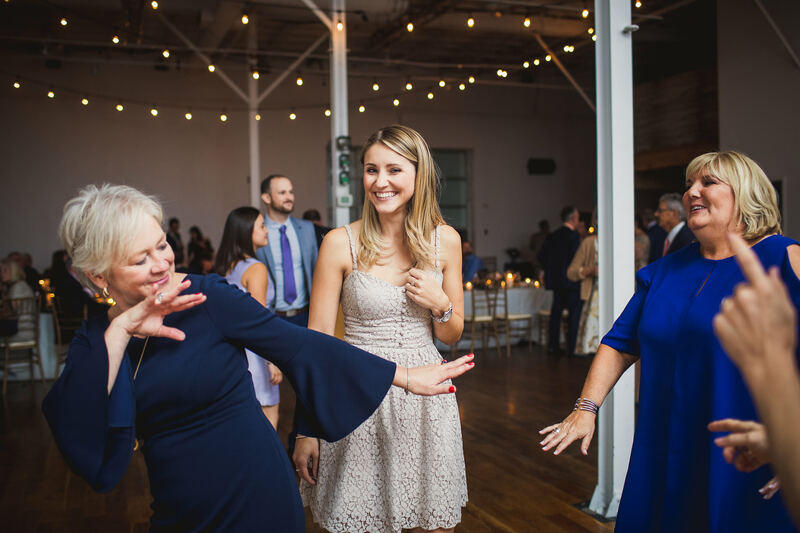 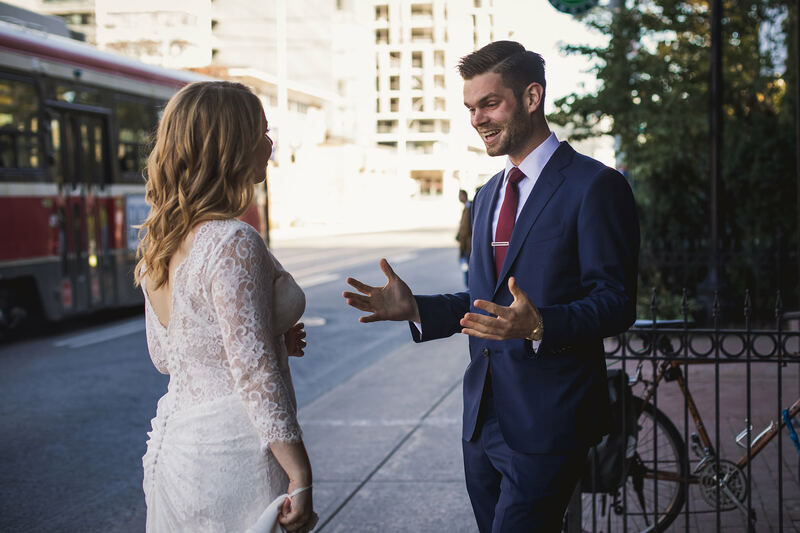 Guests love being outside at weddings. 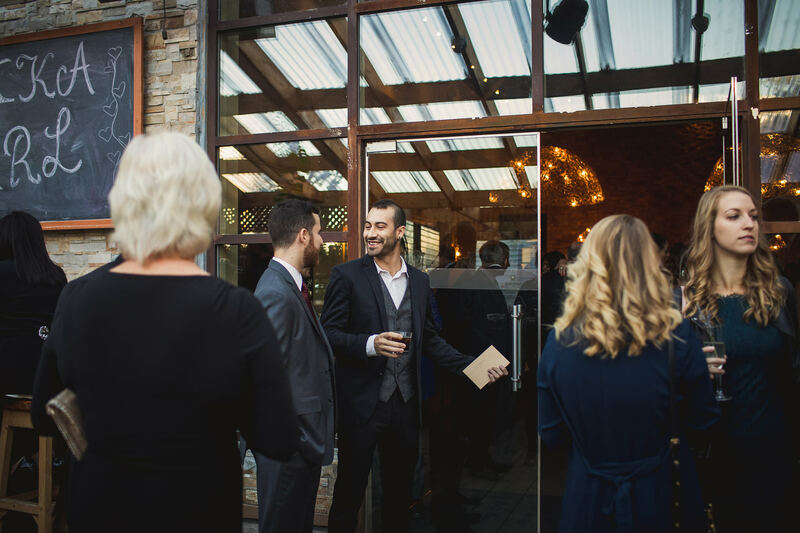 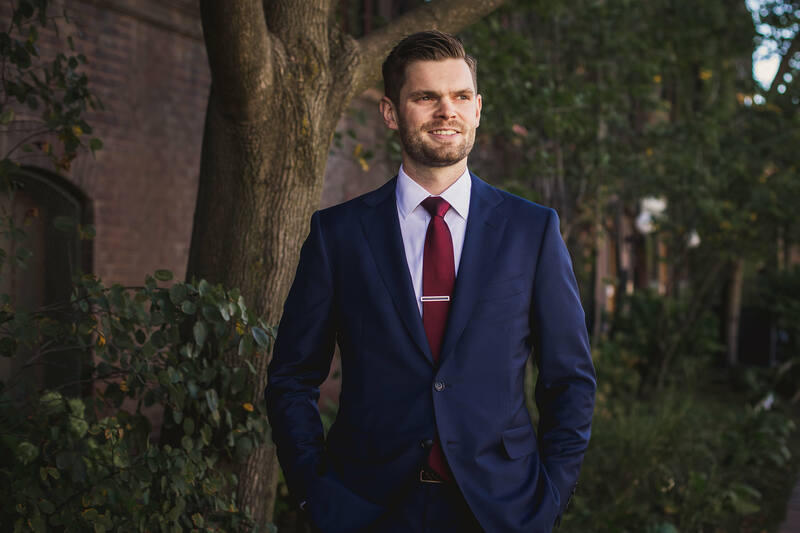 We see it happen all the time – if cocktail hour is in a foyer, half the guests wander outside to the parking lot and it’s such a shame. 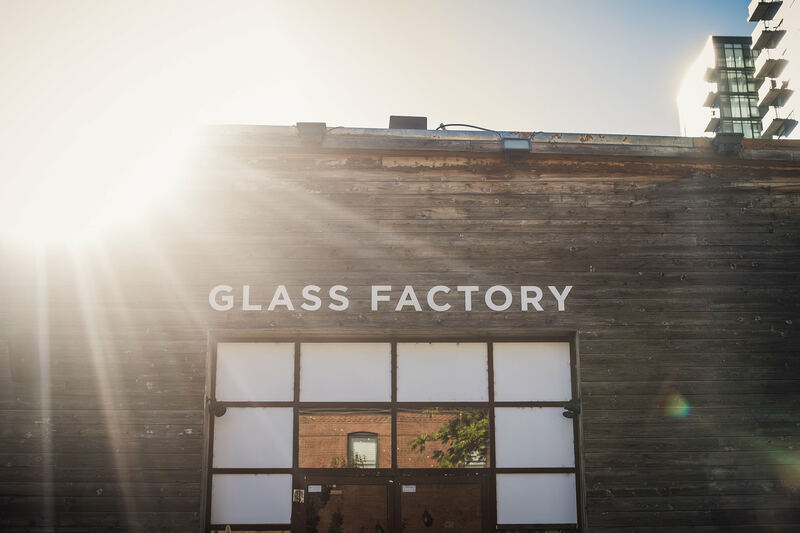 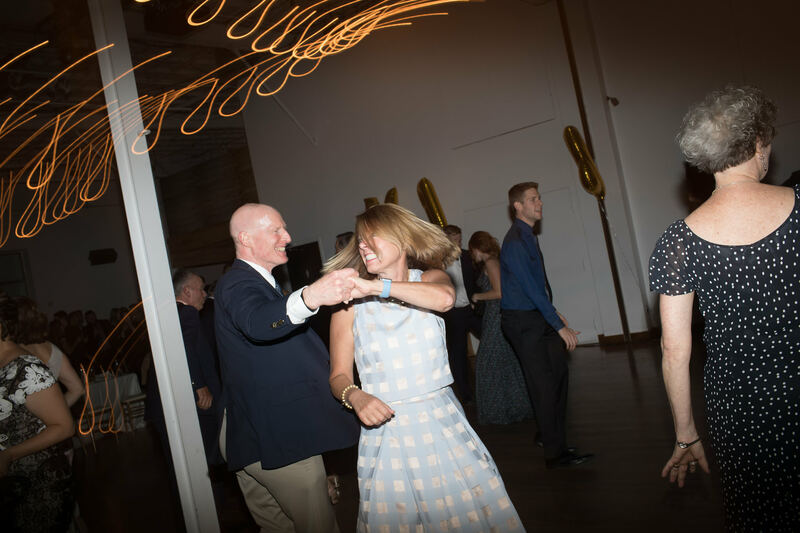 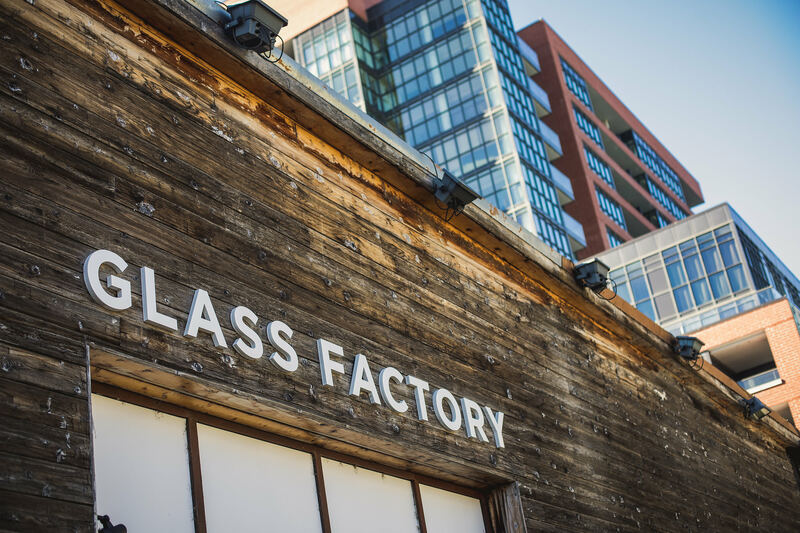 With the Glass Factory, your guests can get some fresh air, be sheltered from the rain and stay a part of the party! 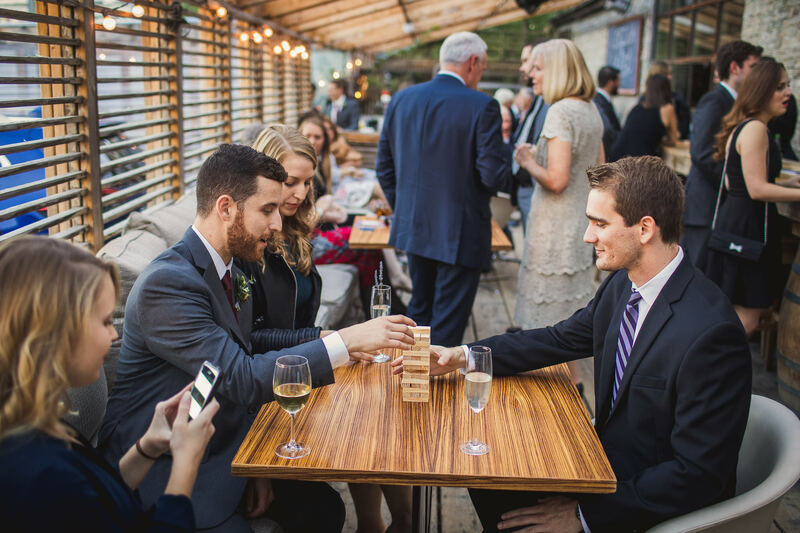 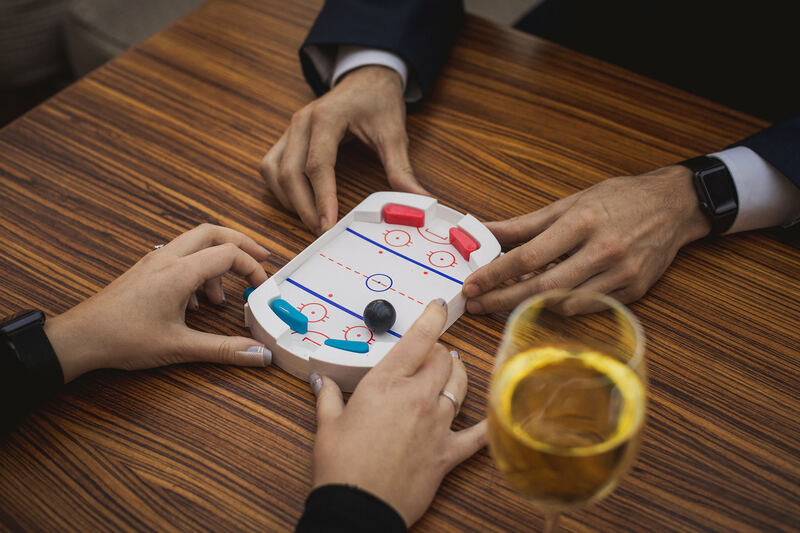 Erika and Carl made it extra special by having games on all the tables to provide additional entertainment. 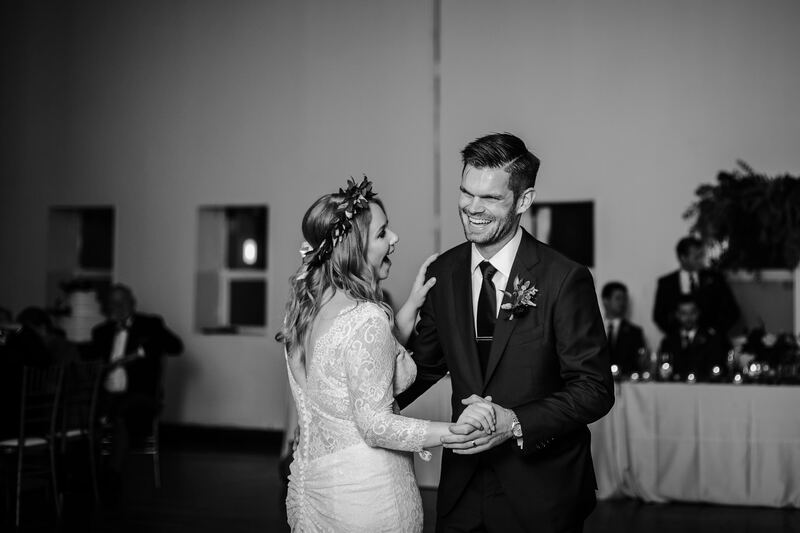 A huge thank you to Erika, Carl and their families and friends. 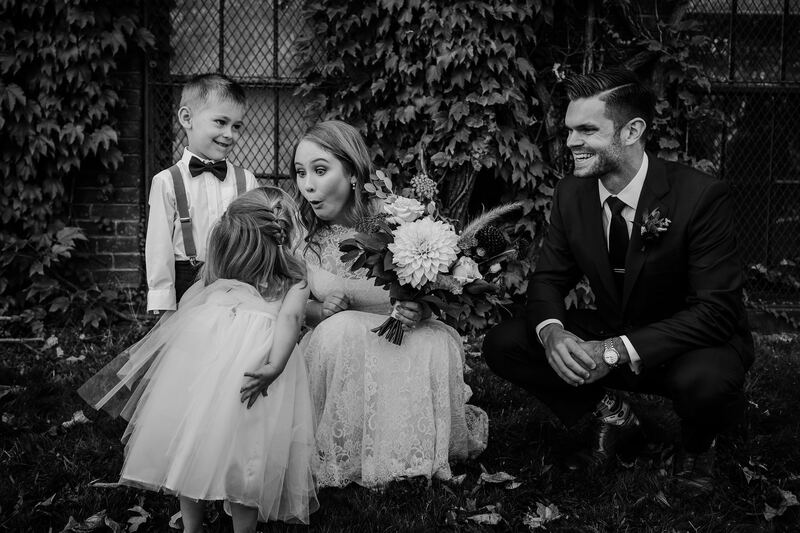 You welcomed me into the day like that I was an extension of the family and I thank you so much for giving me the opportunity to capture these memories for you. 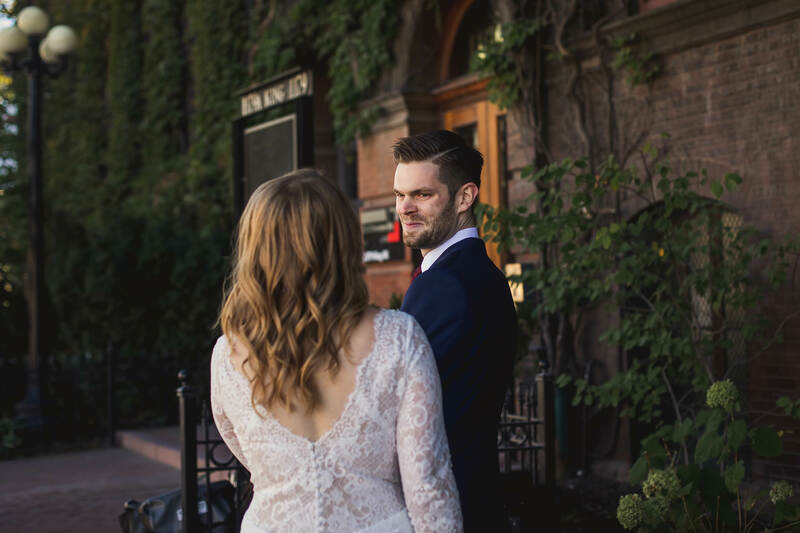 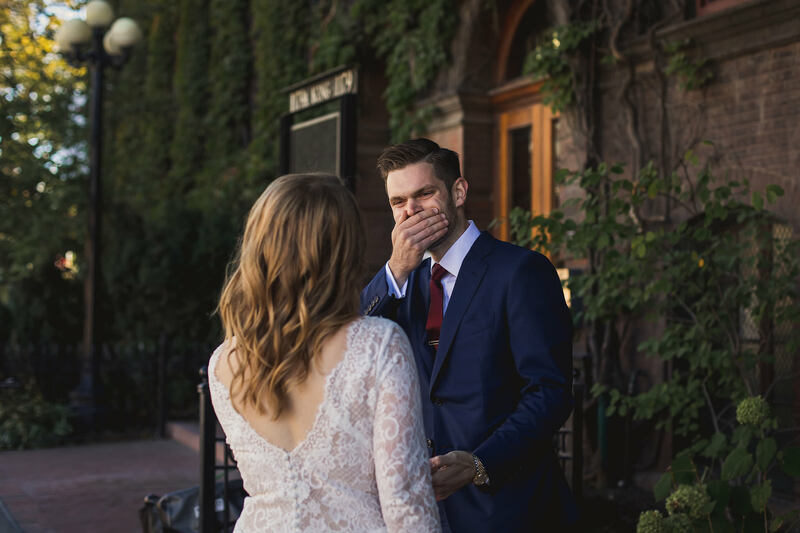 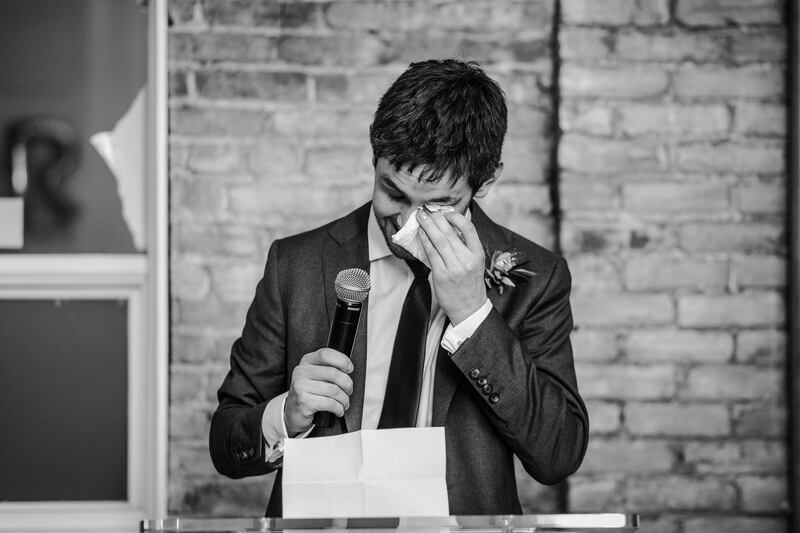 Consider doing your photos before the ceremony. 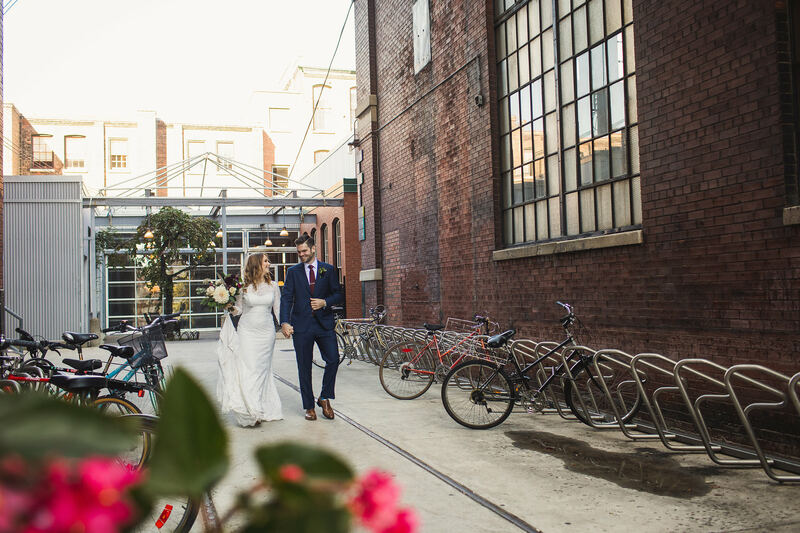 There’s not a whole heck of a lot of places for photos in and around the neighbourhood so that means you’ll have to travel away from the Glass Factory (like we did, going to Liberty Village) for photos. 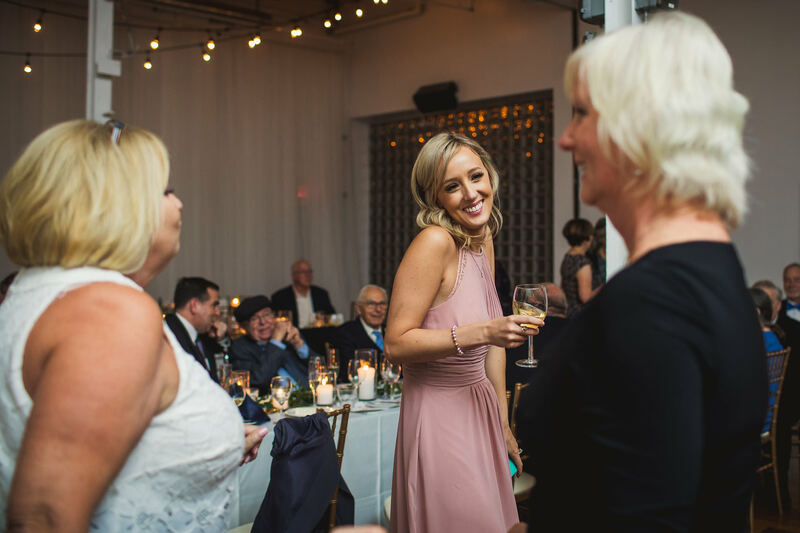 You’ll want to make sure your cocktail hour is only 1 to 1.5 hours (max) and that’s not always enough time to sneak away for photos. 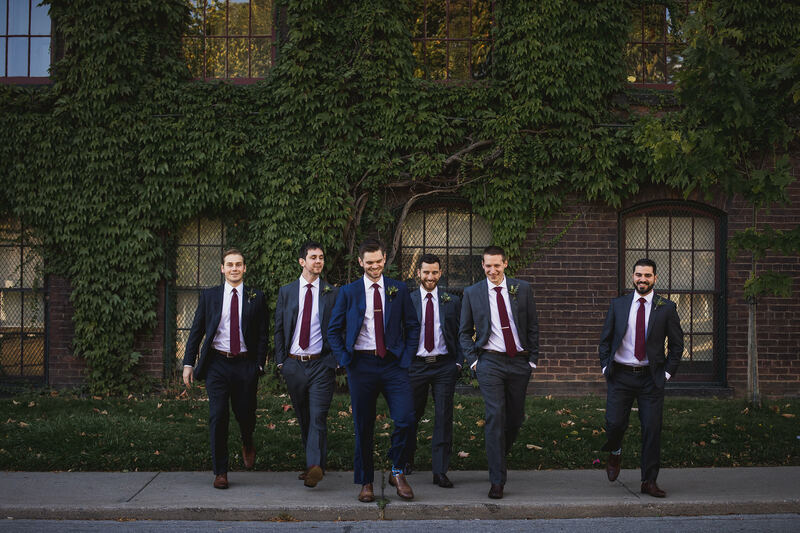 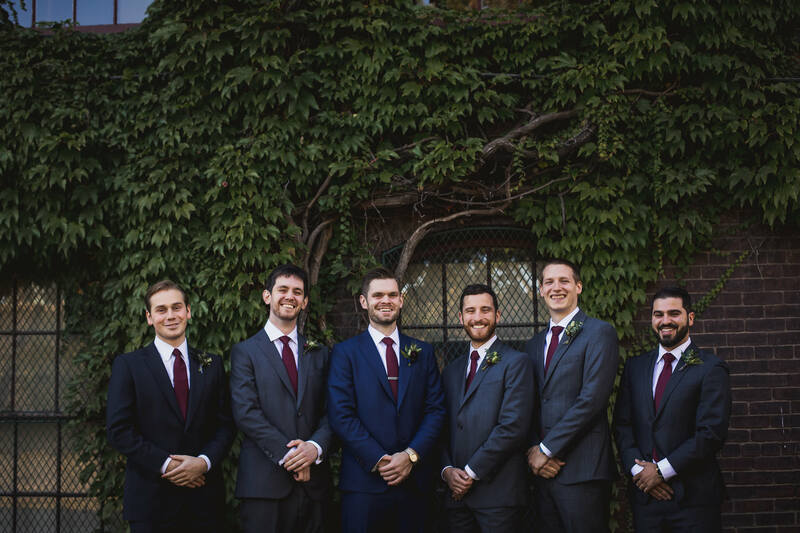 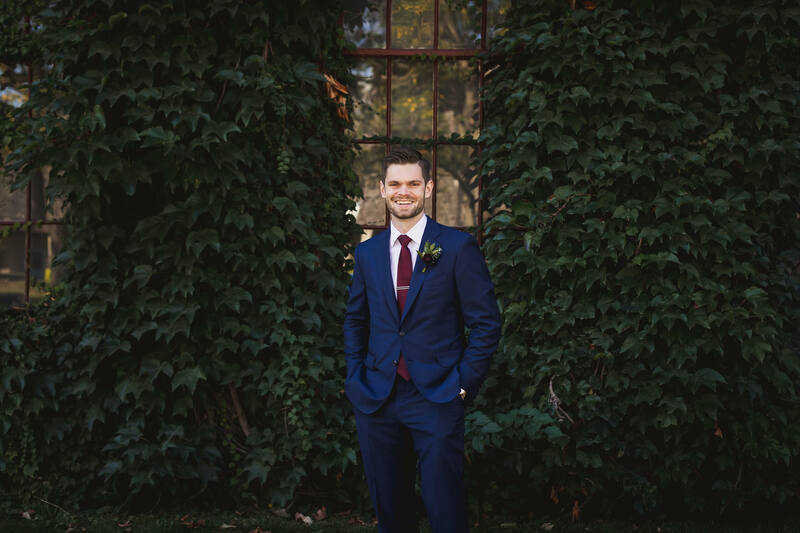 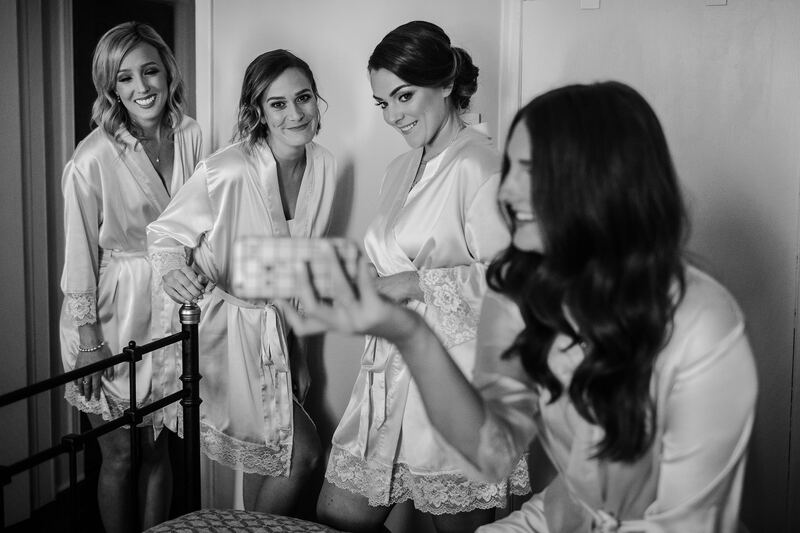 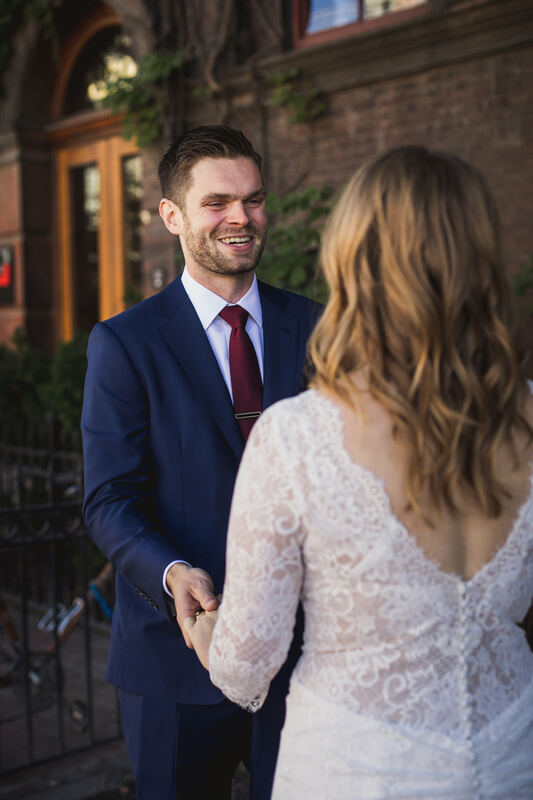 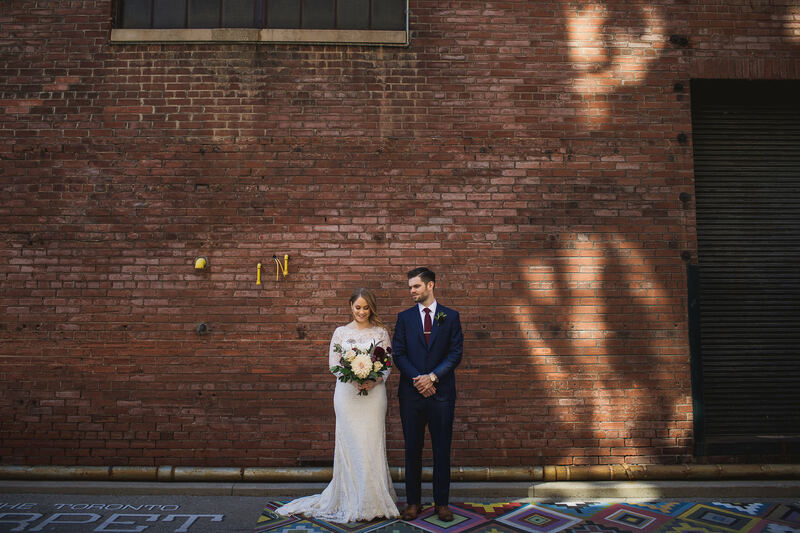 Photos before the ceremony is a perfect solution. 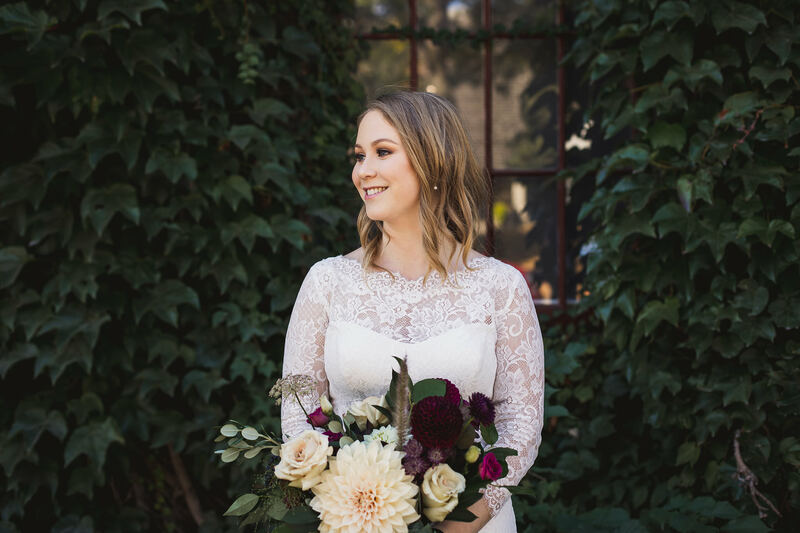 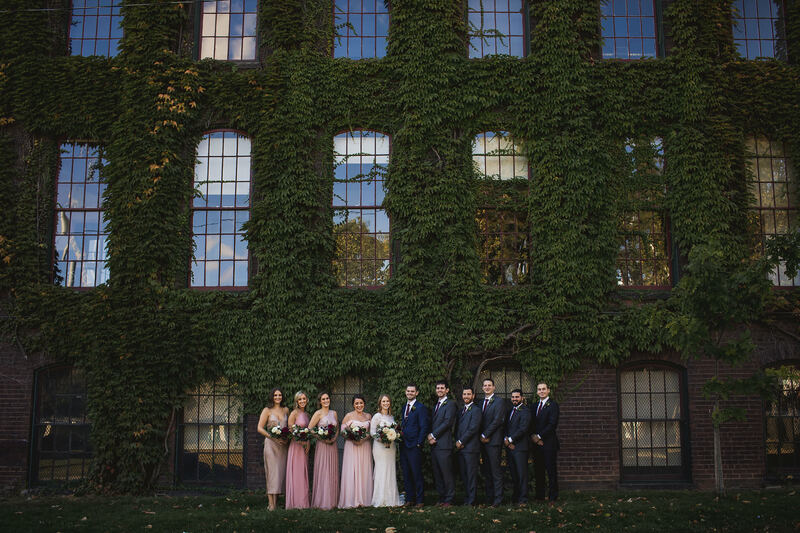 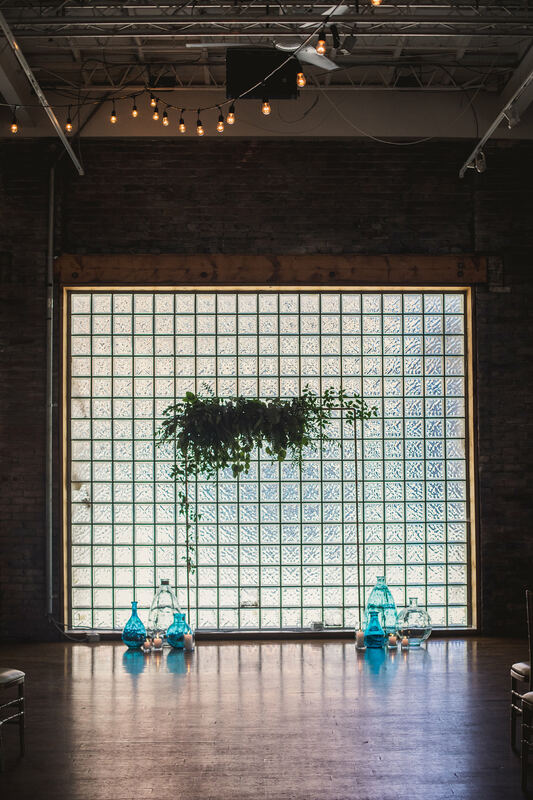 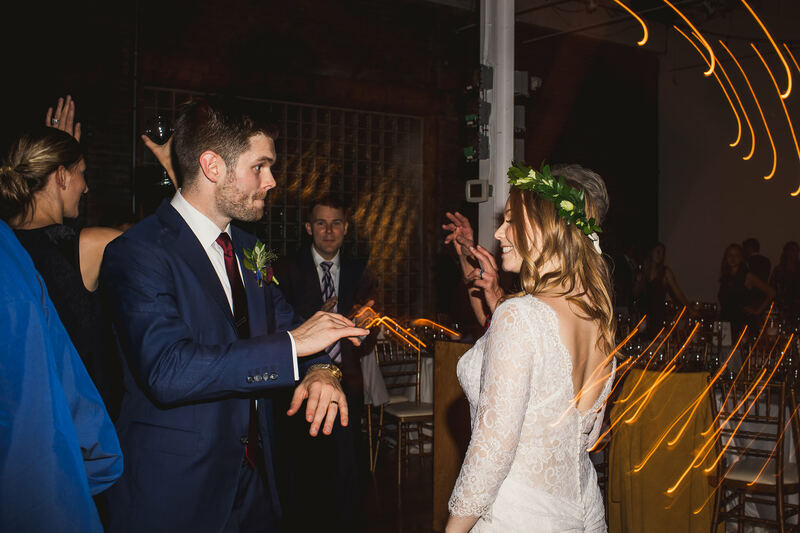 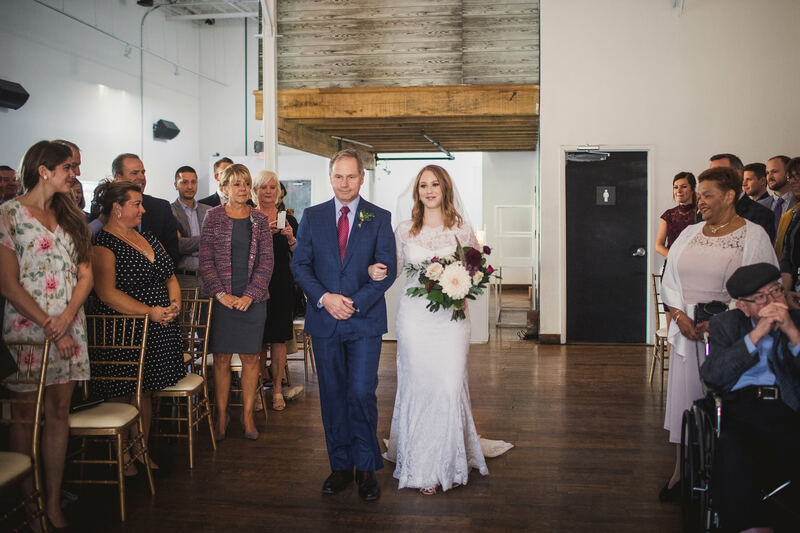 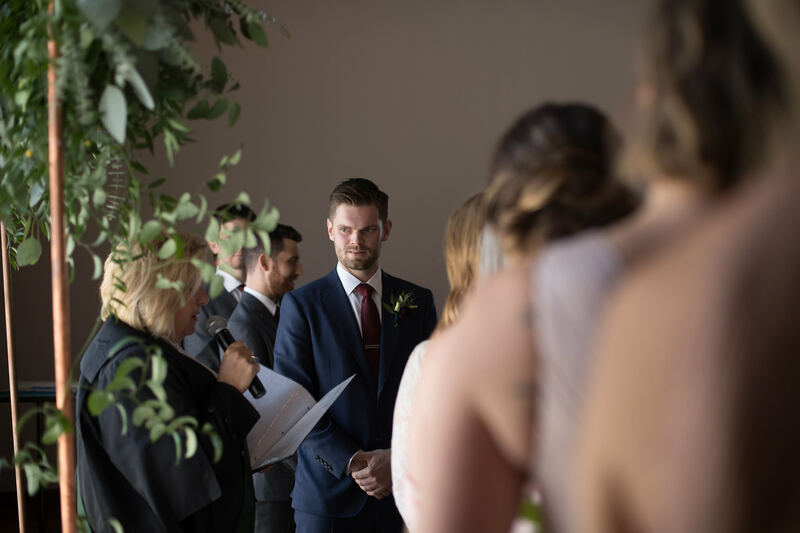 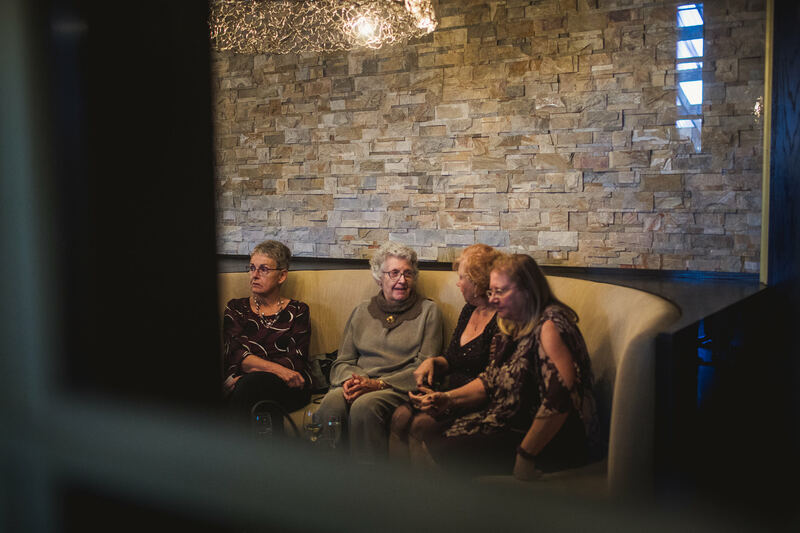 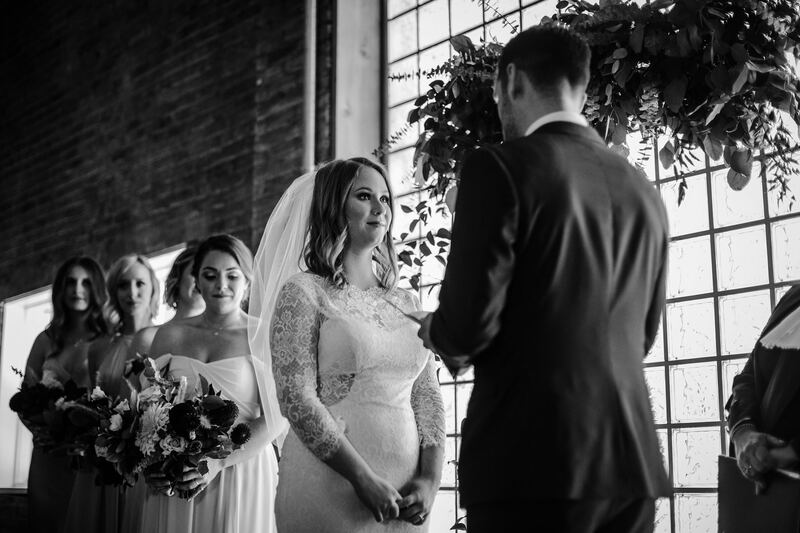 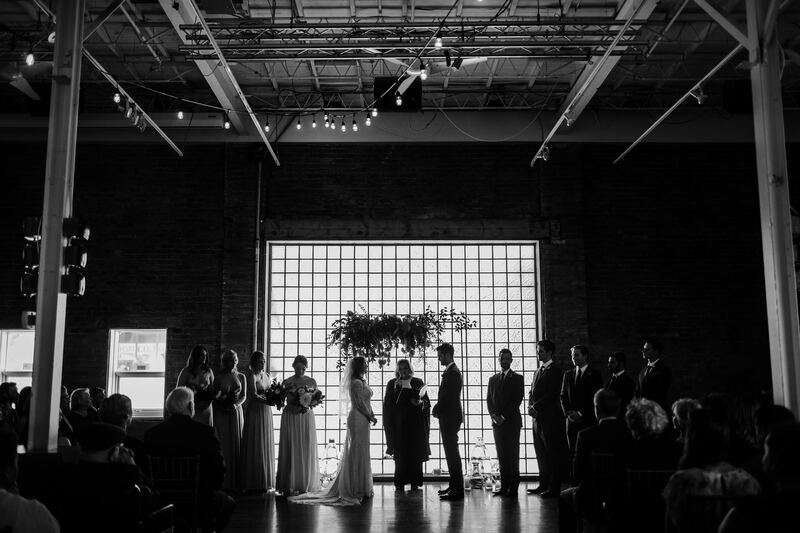 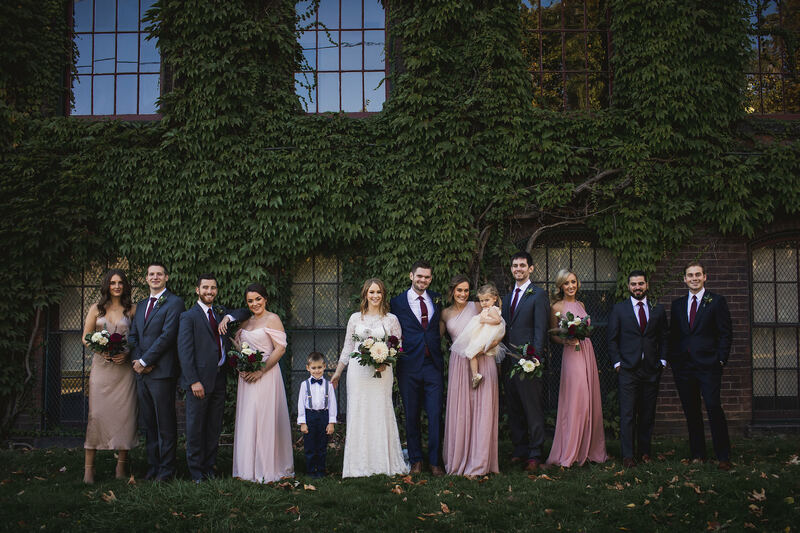 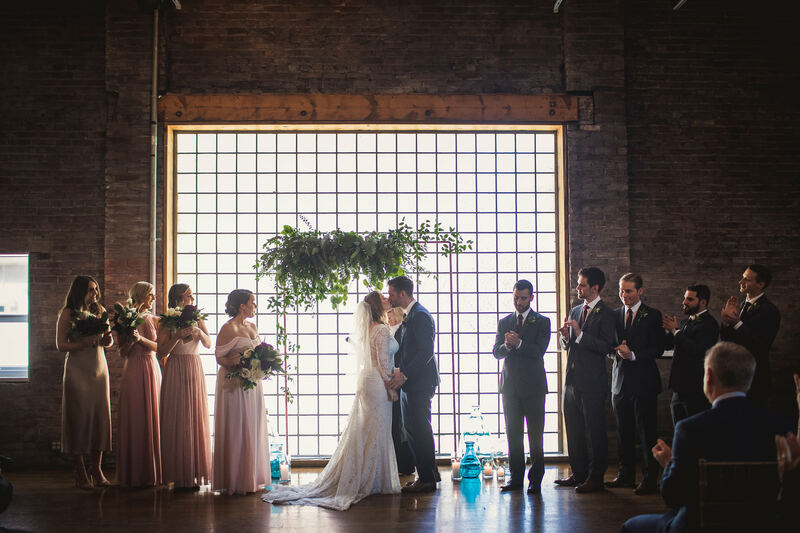 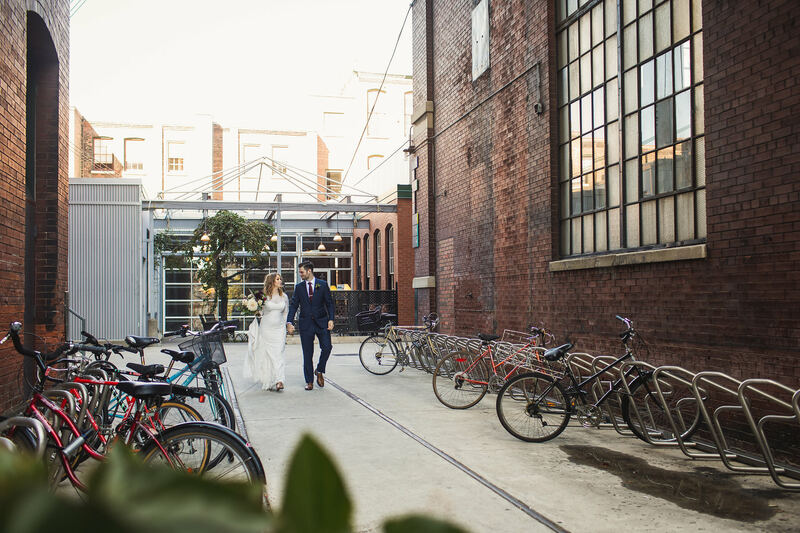 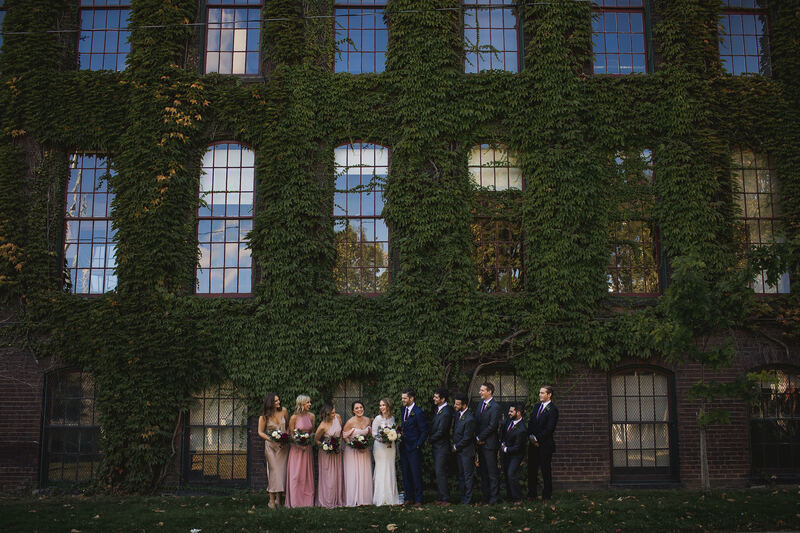 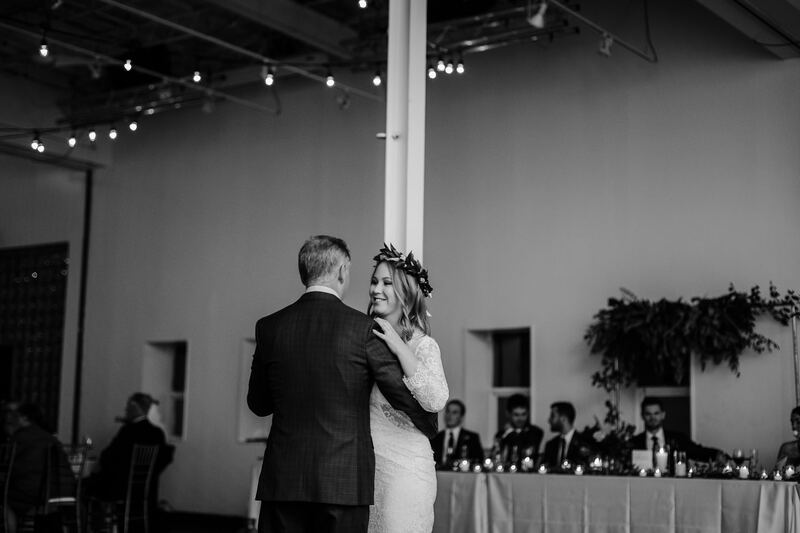 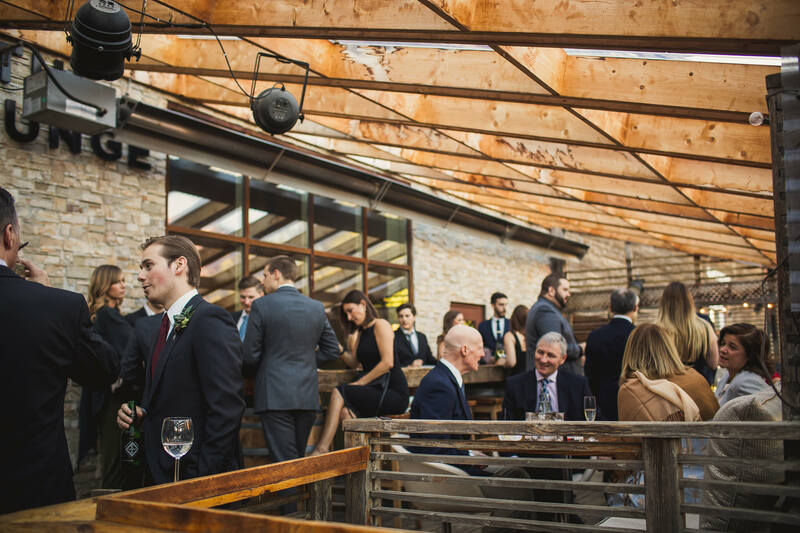 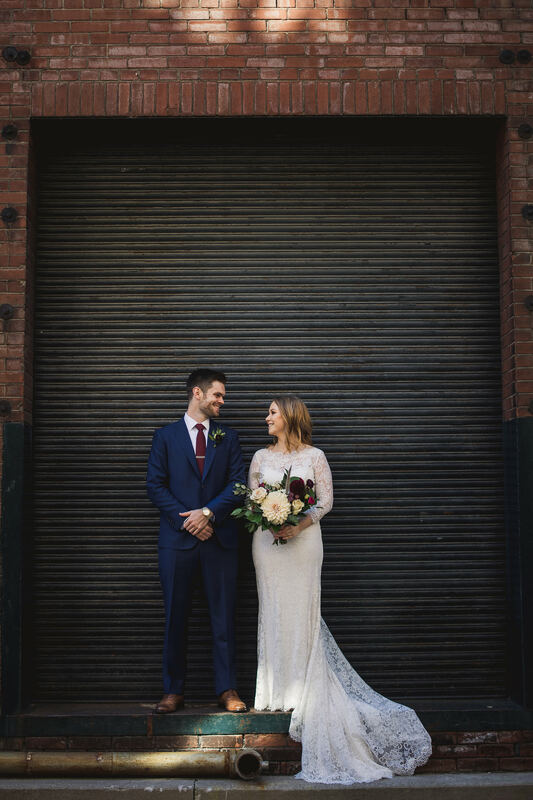 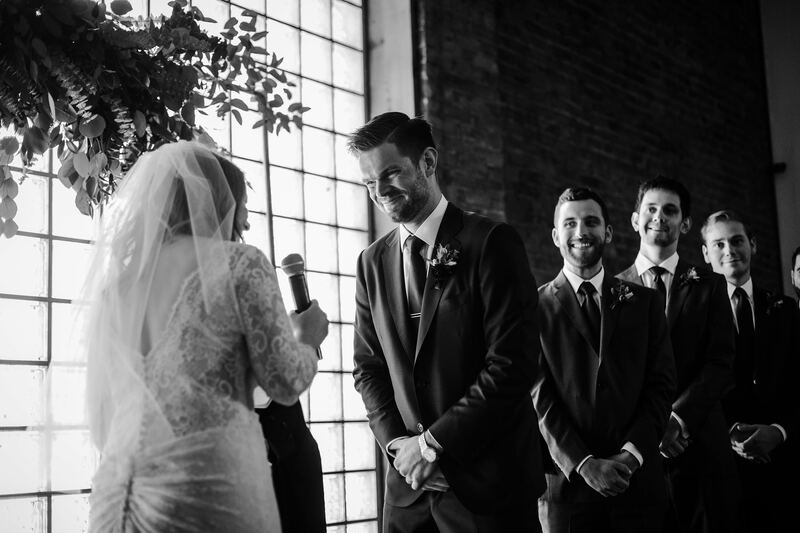 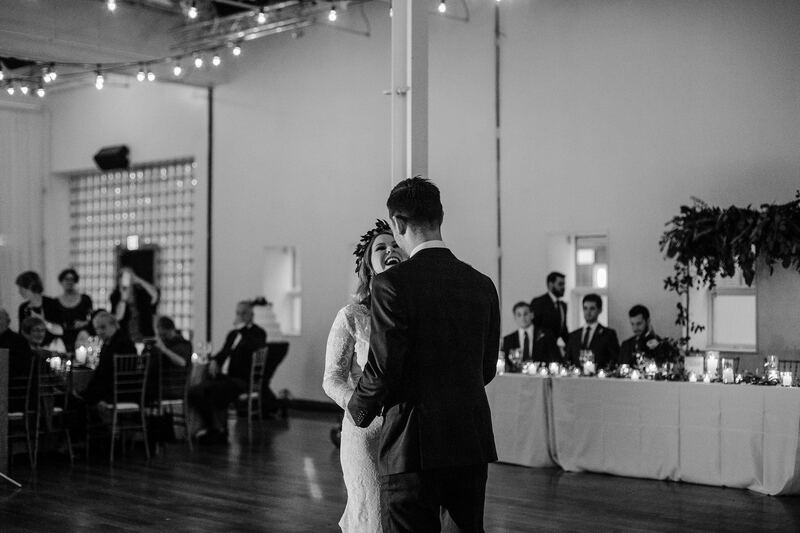 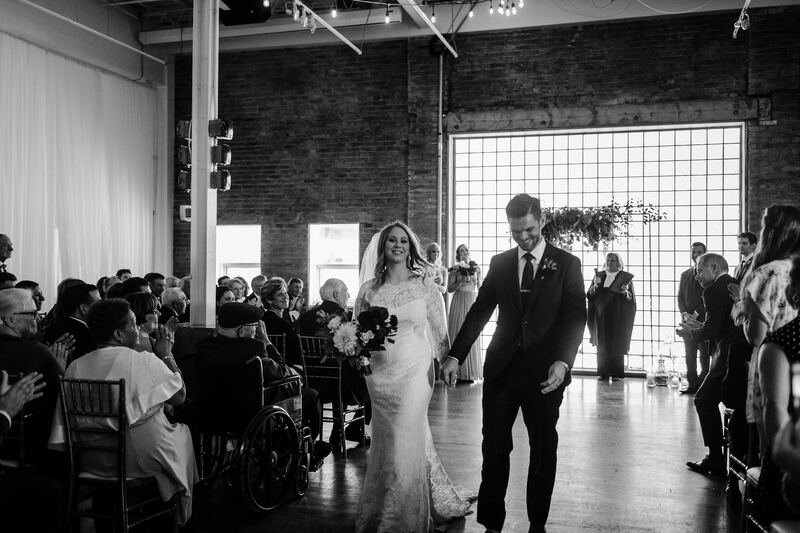 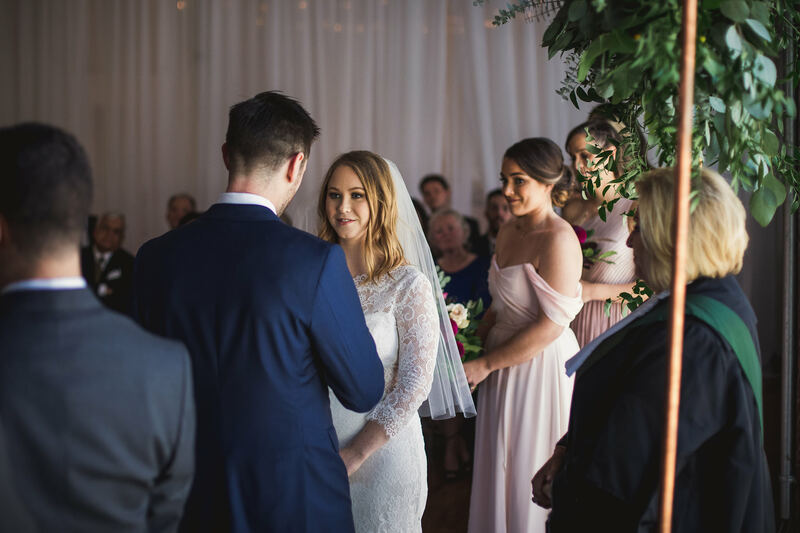 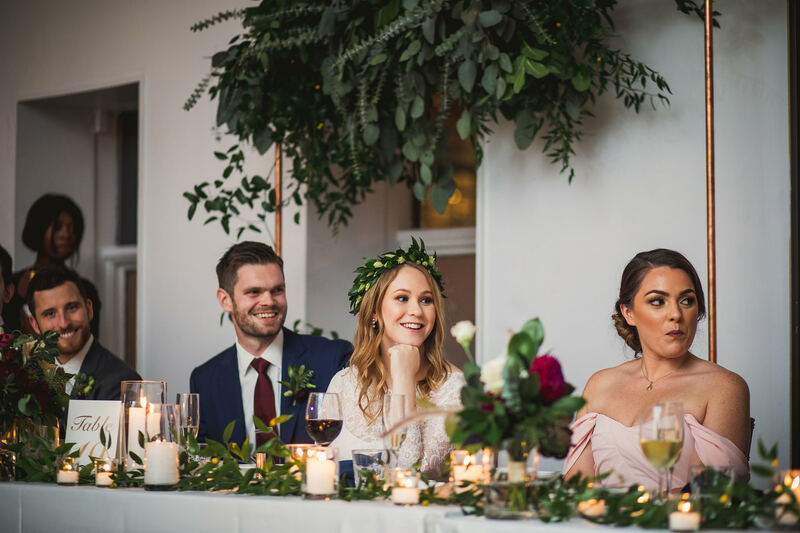 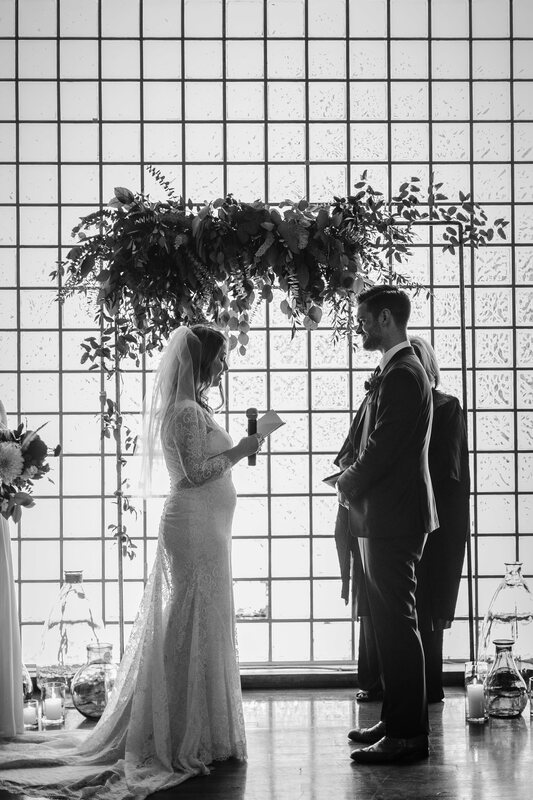 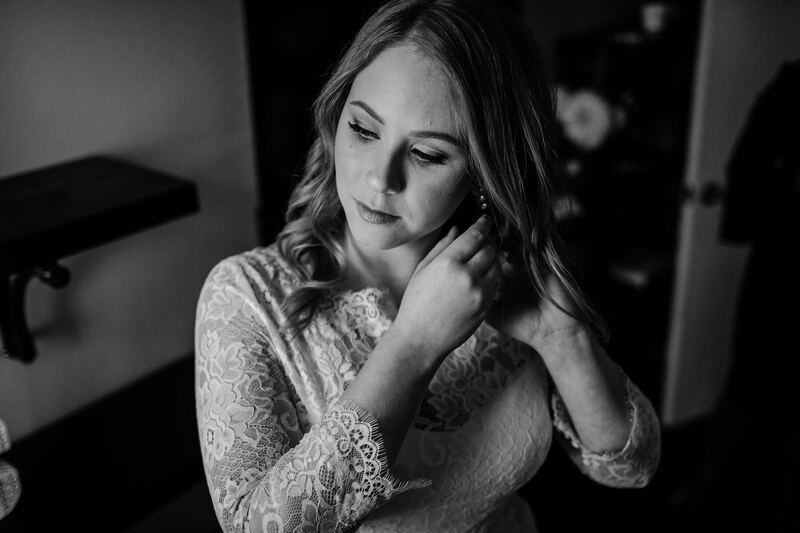 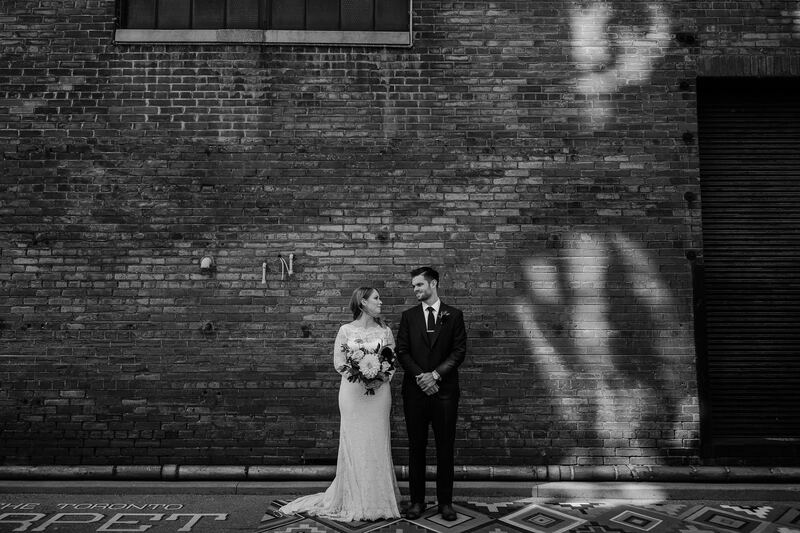 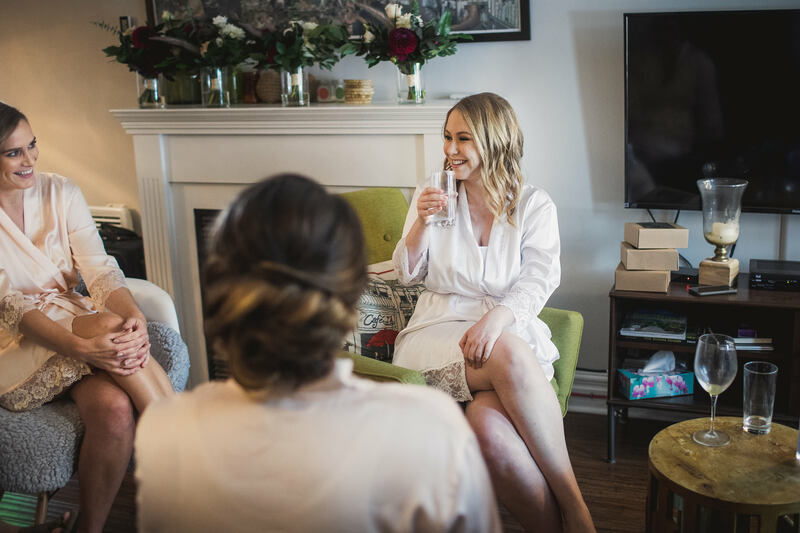 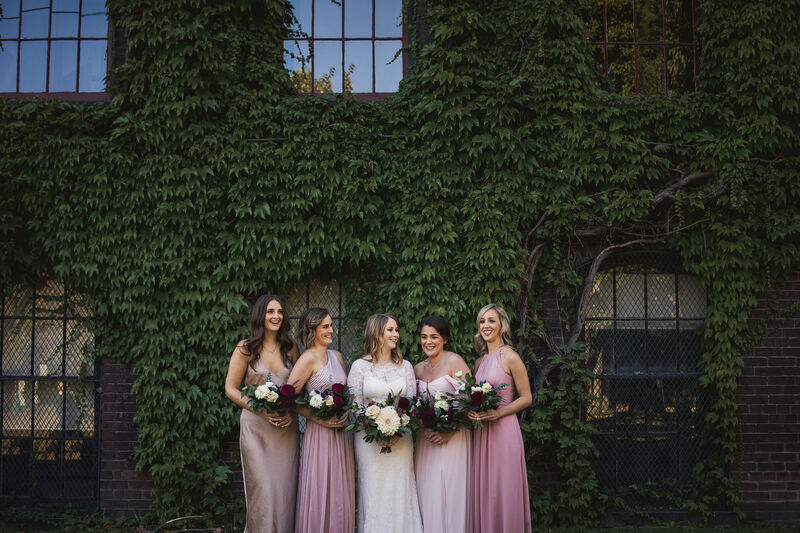 While The Glass Factory is beautiful, it may not be the best option for indoor photos as the light is moody and you’ll likely already be set up for your ceremony or reception. 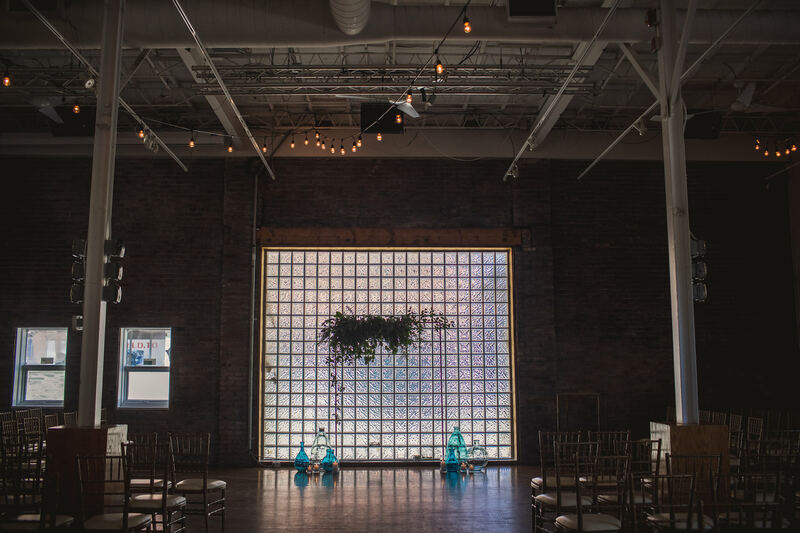 If you’re in need of a rain backup plan, consider renting a studio from Mint Room, it’s not too far away.